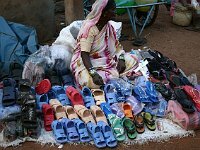 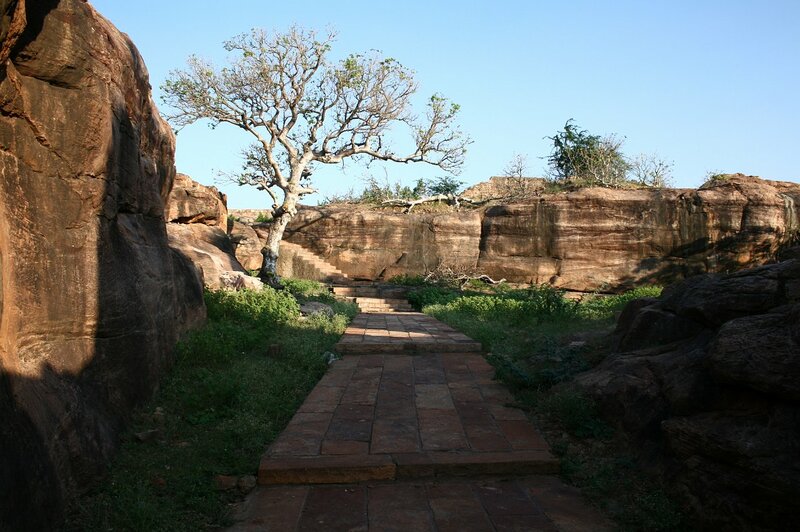 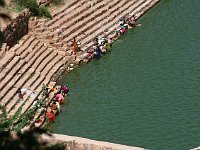 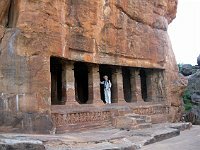 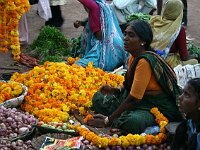 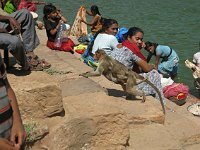 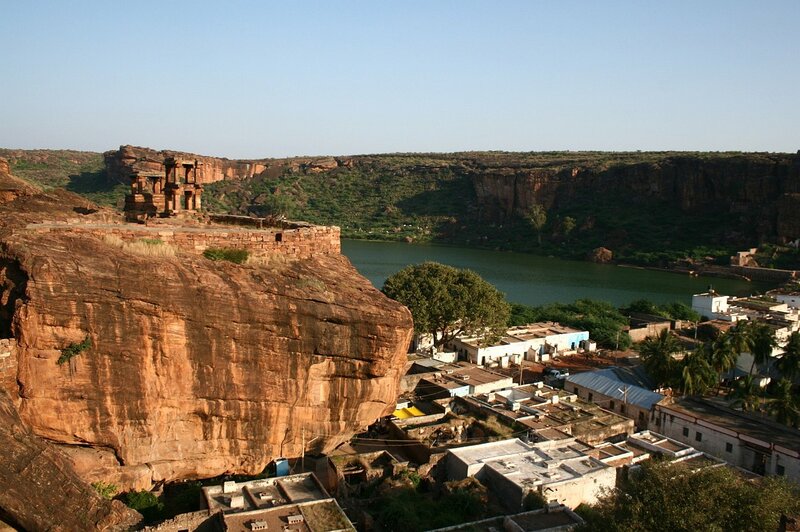 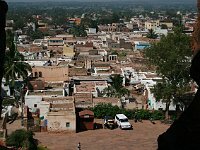 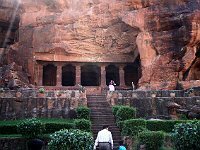 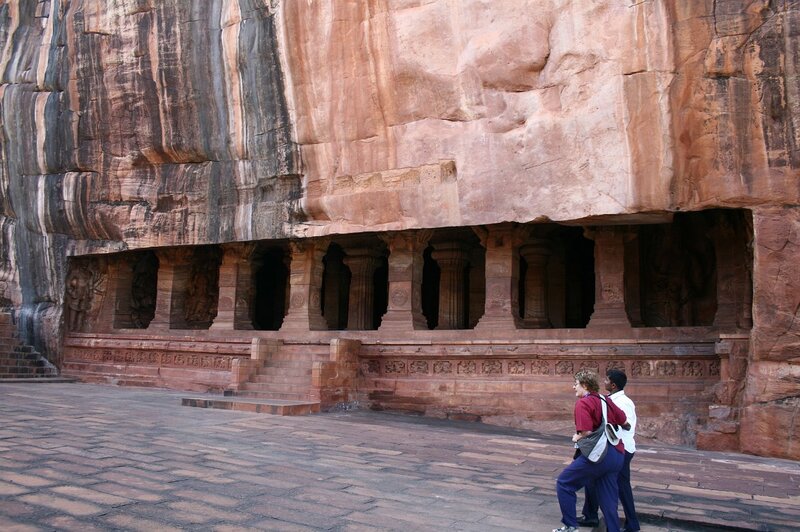 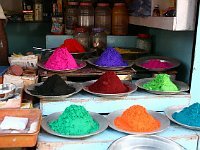 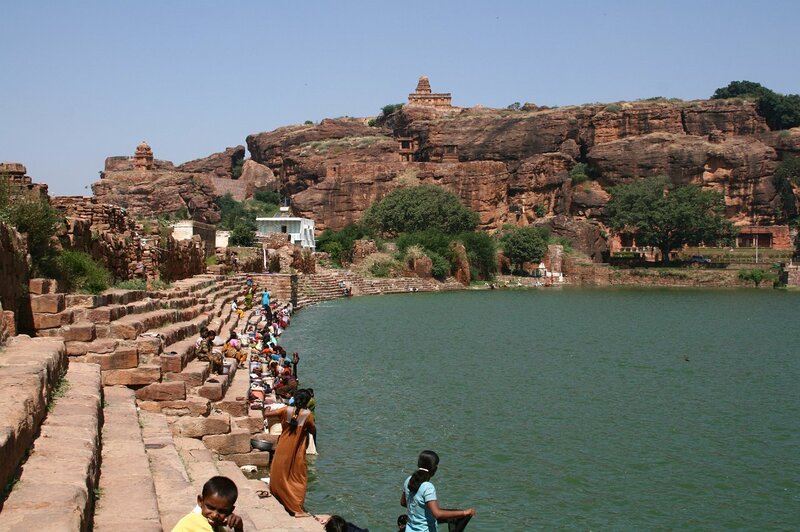 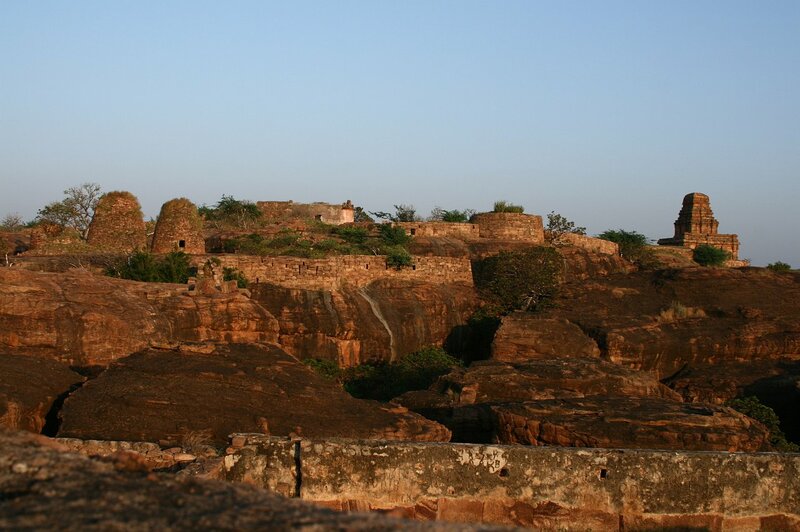 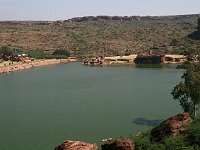 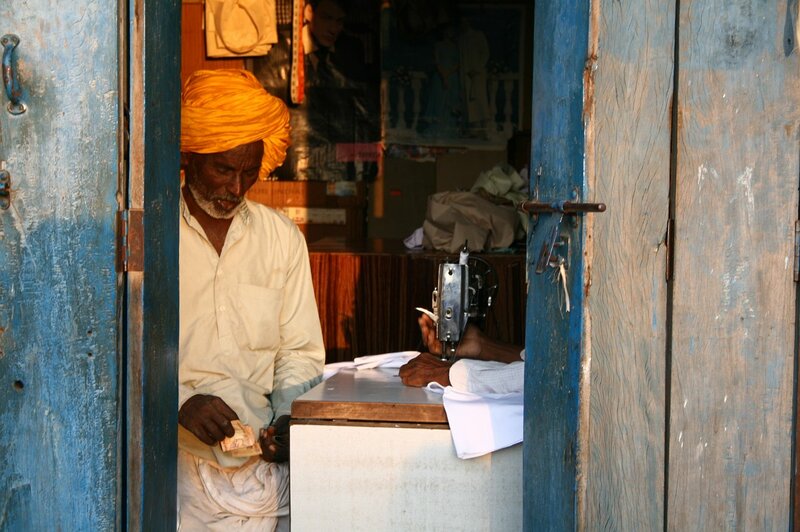 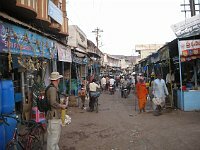 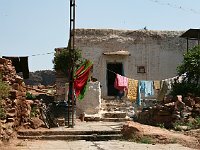 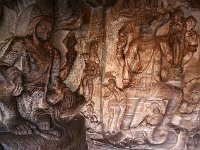 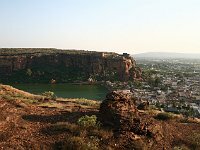 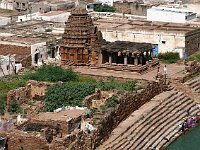 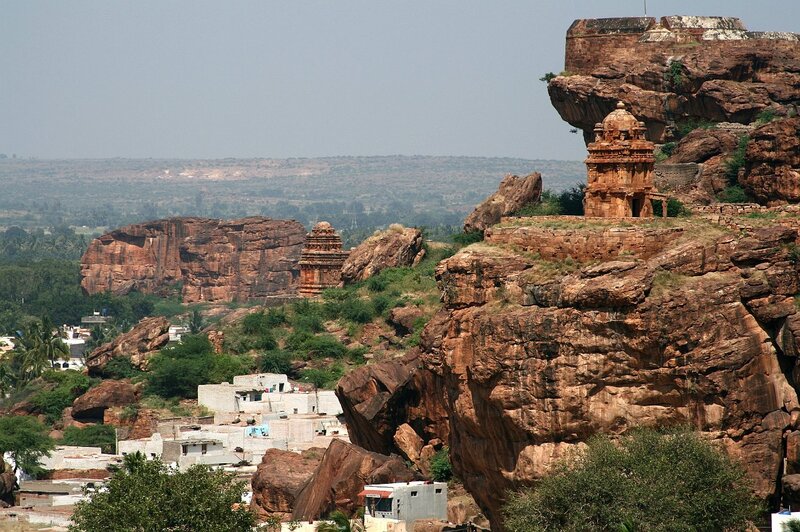 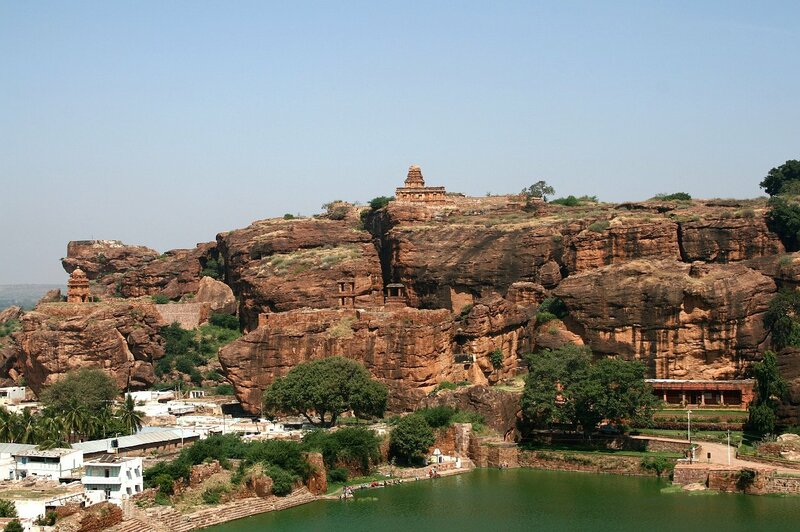 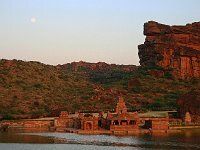 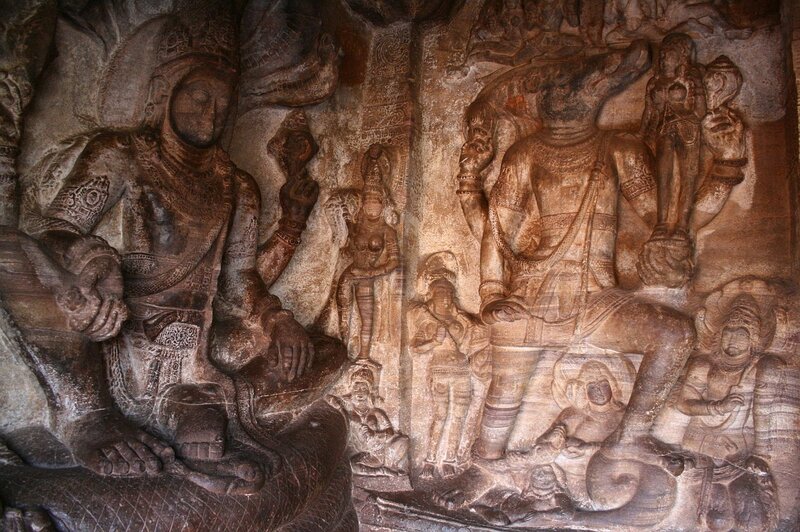 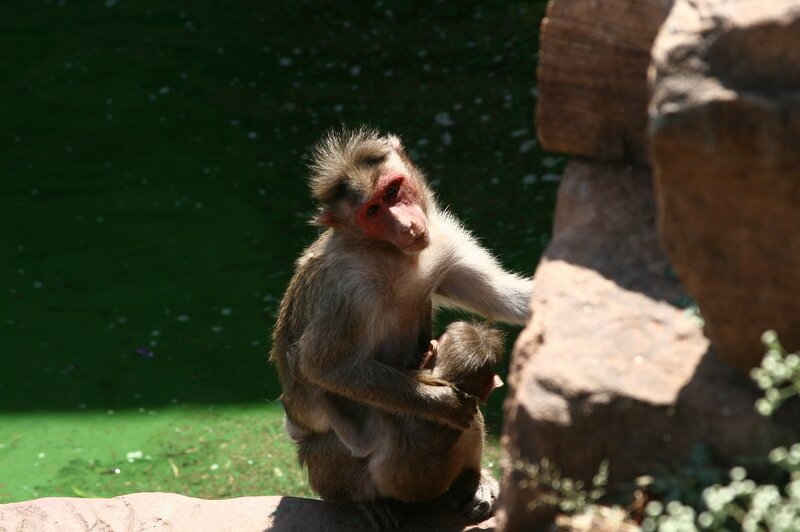 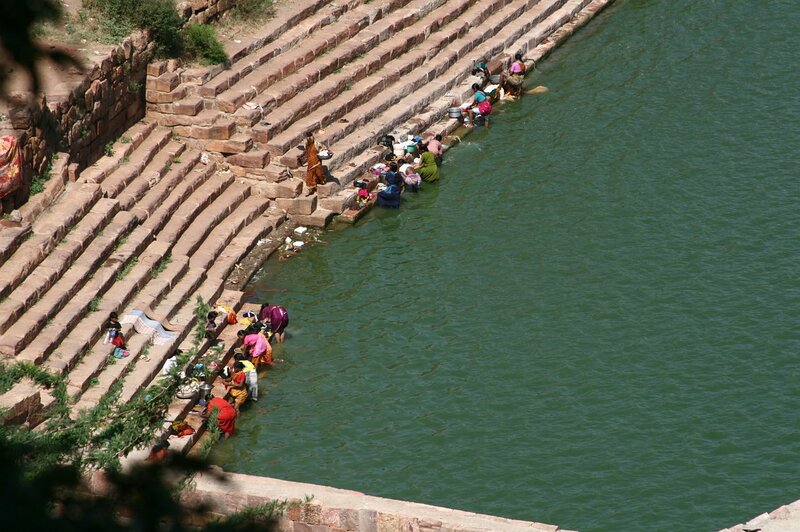 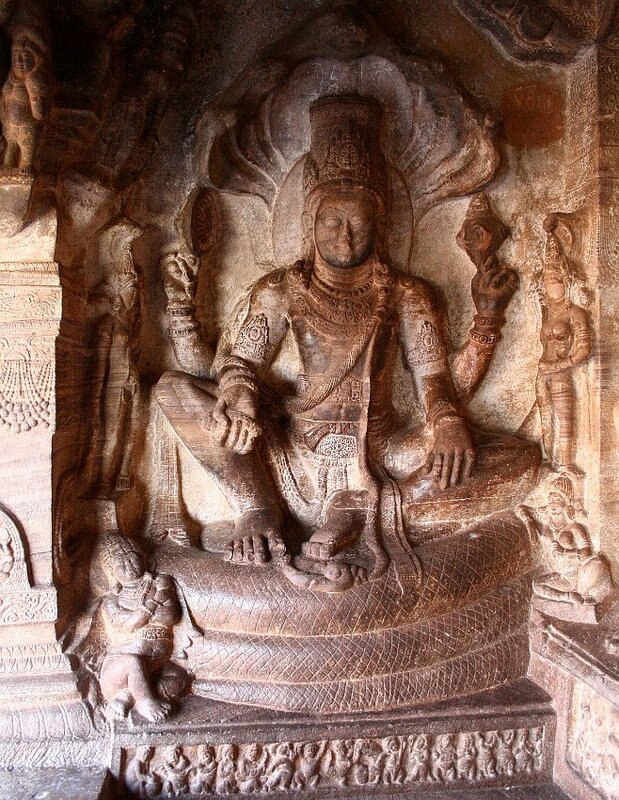 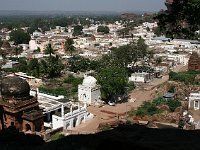 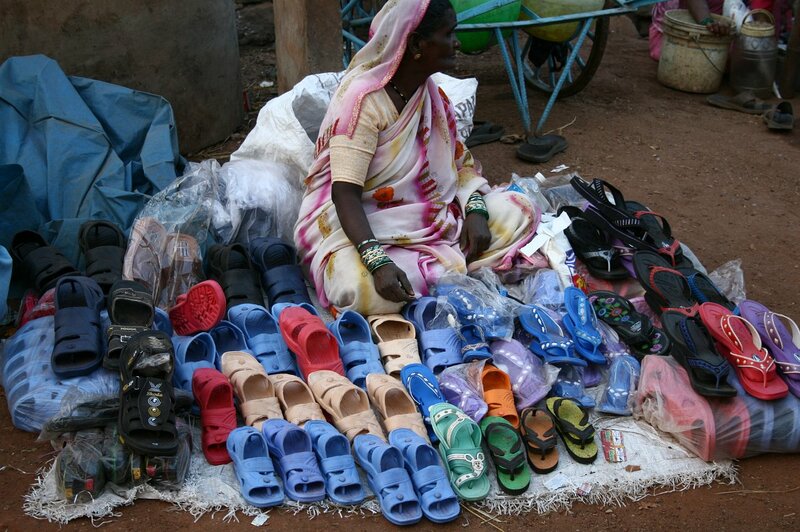 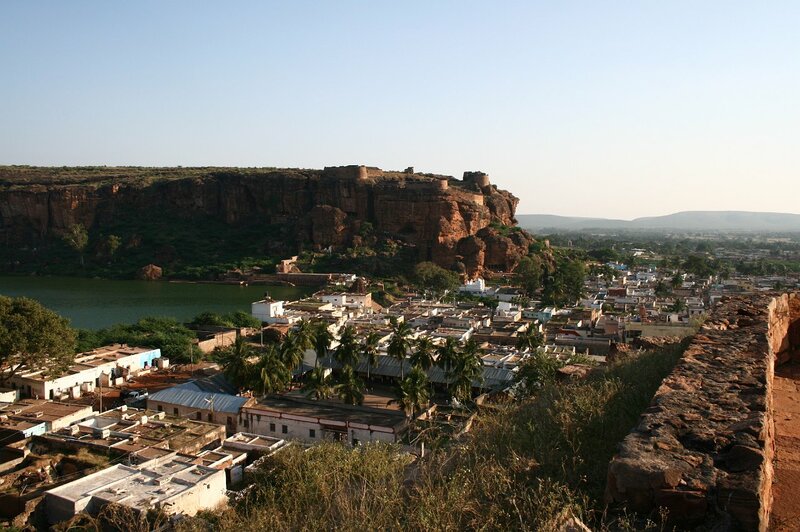 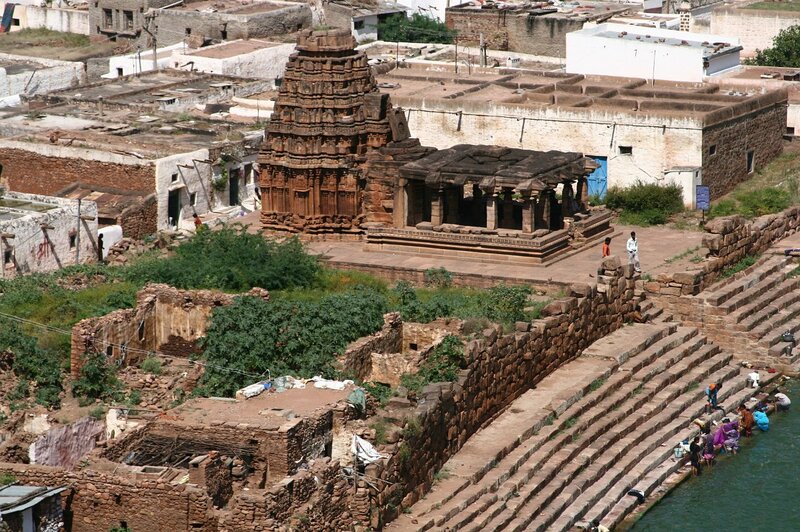 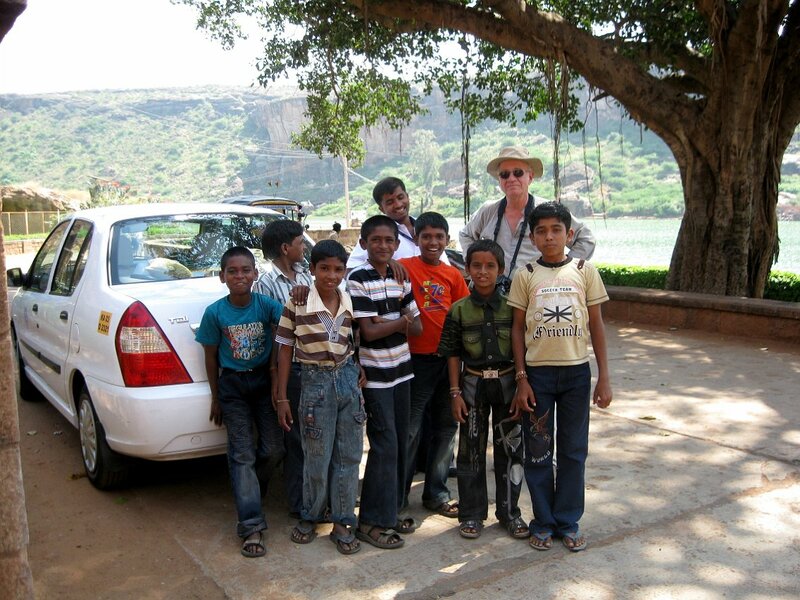 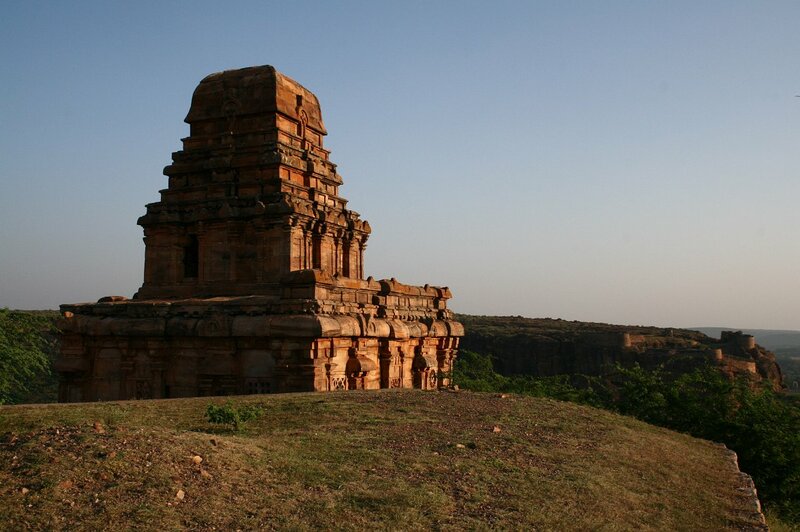 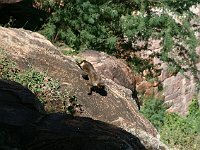 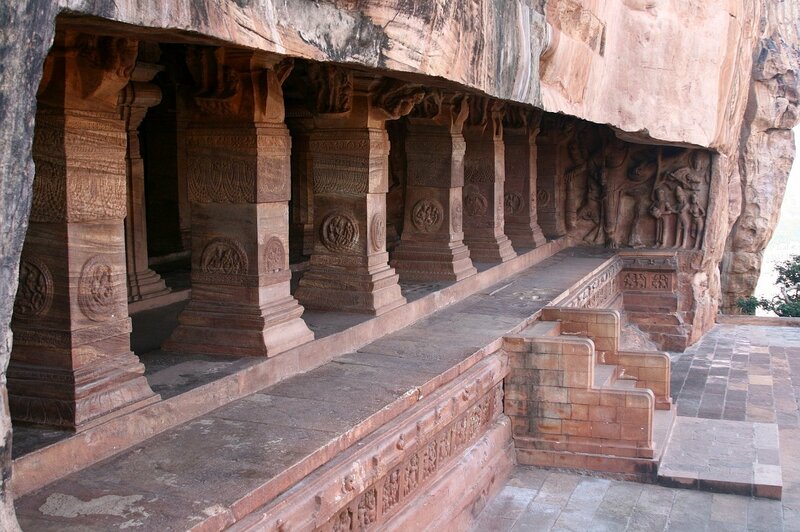 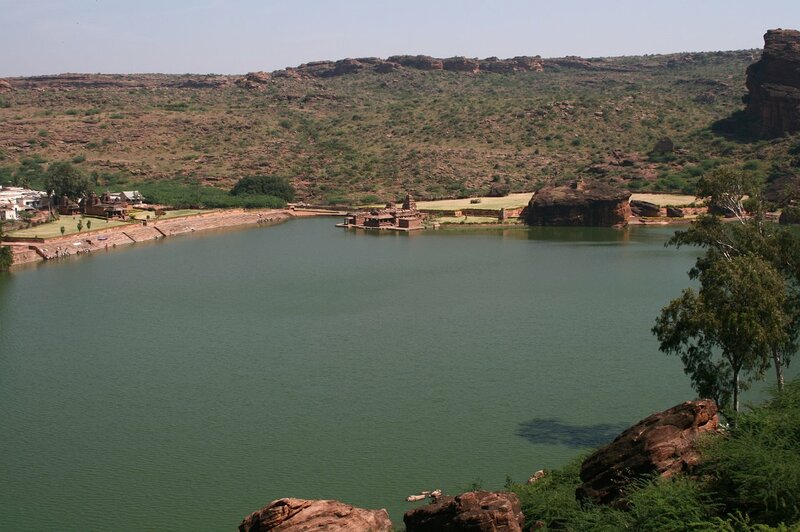 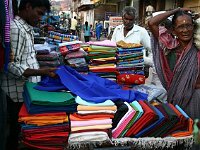 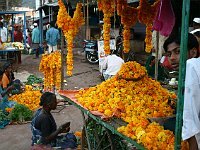 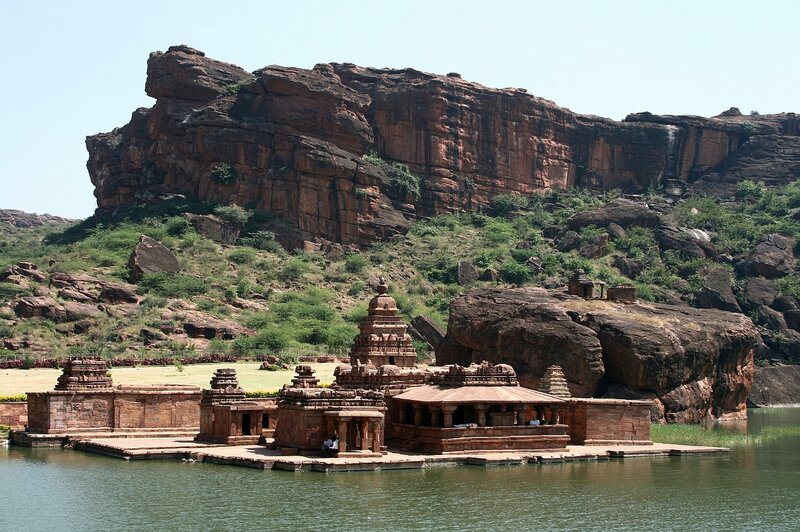 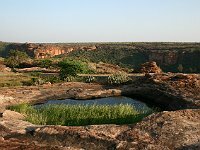 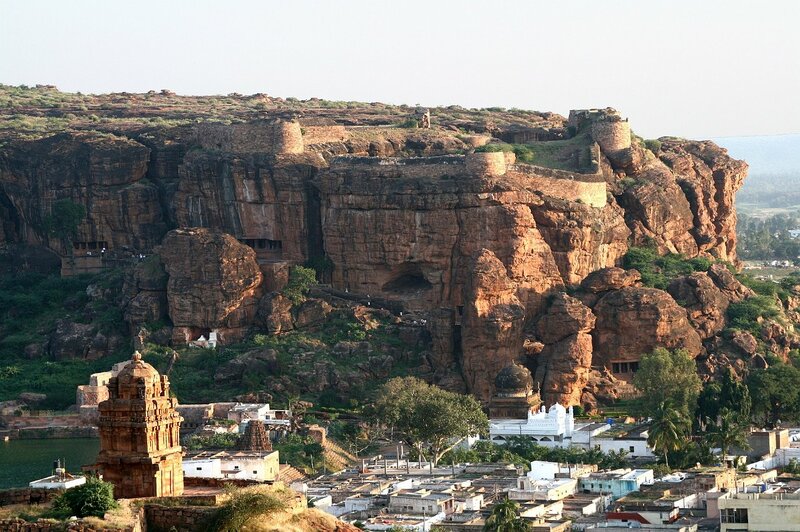 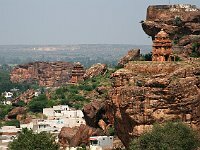 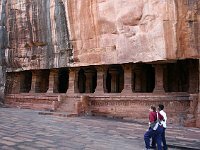 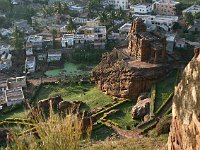 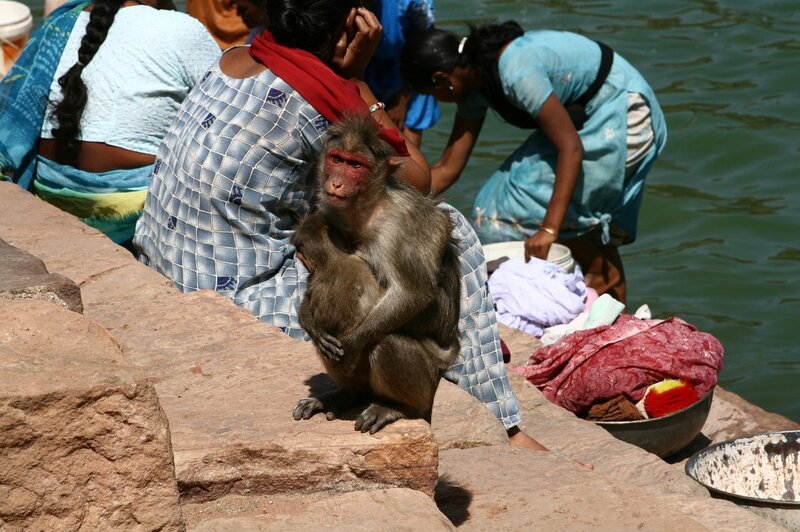 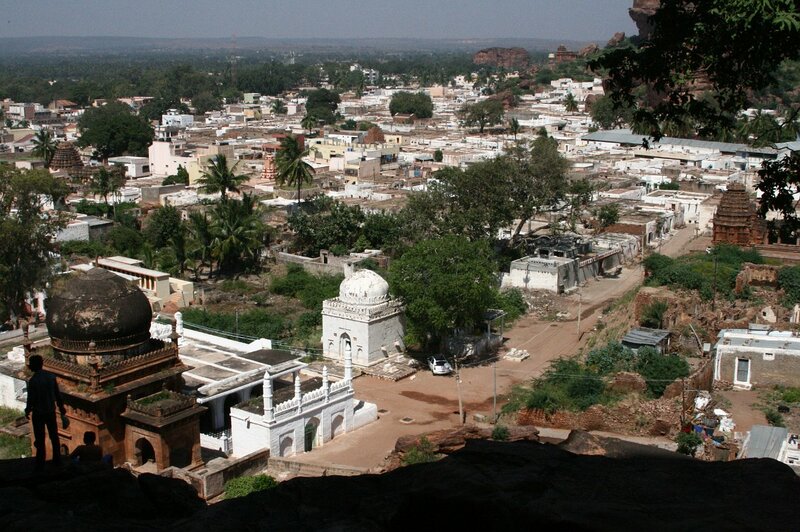 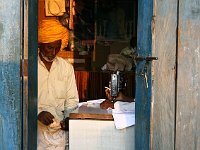 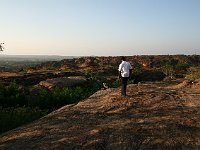 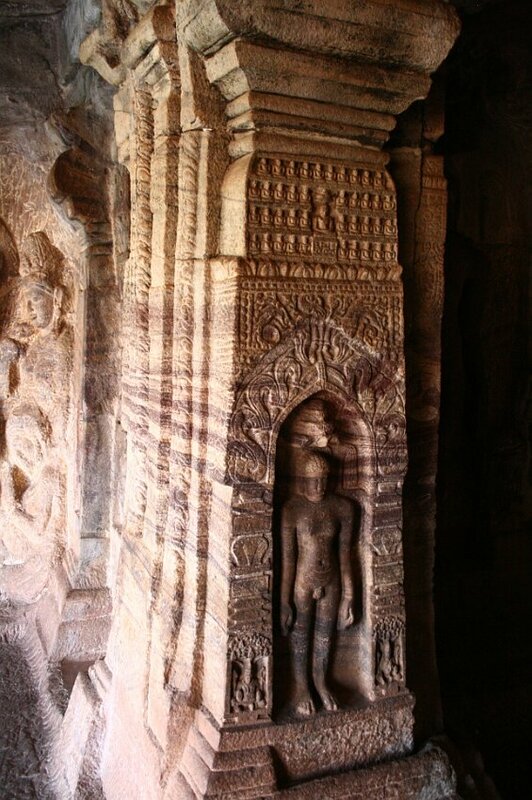 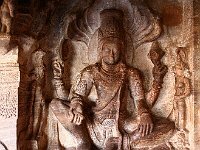 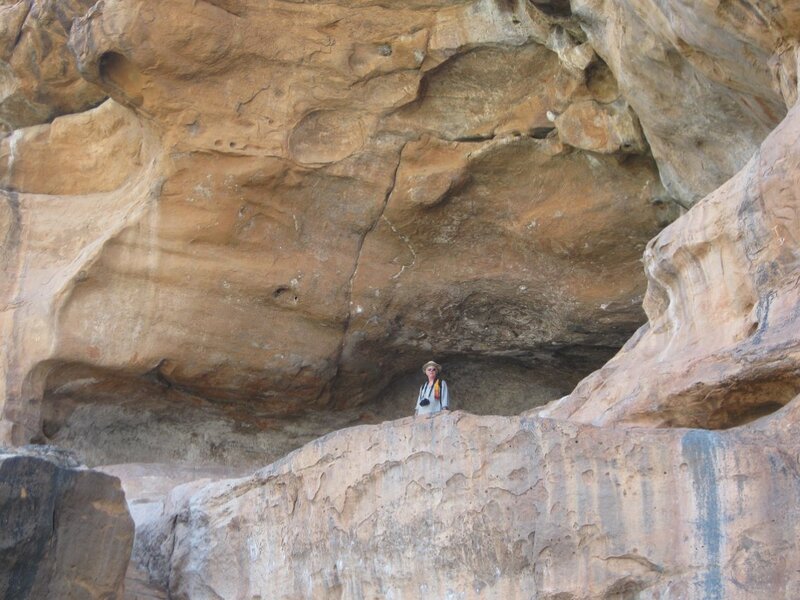 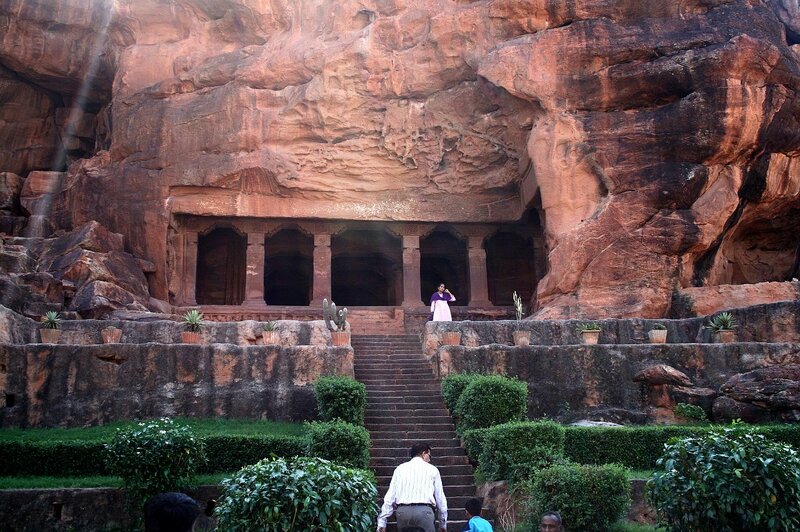 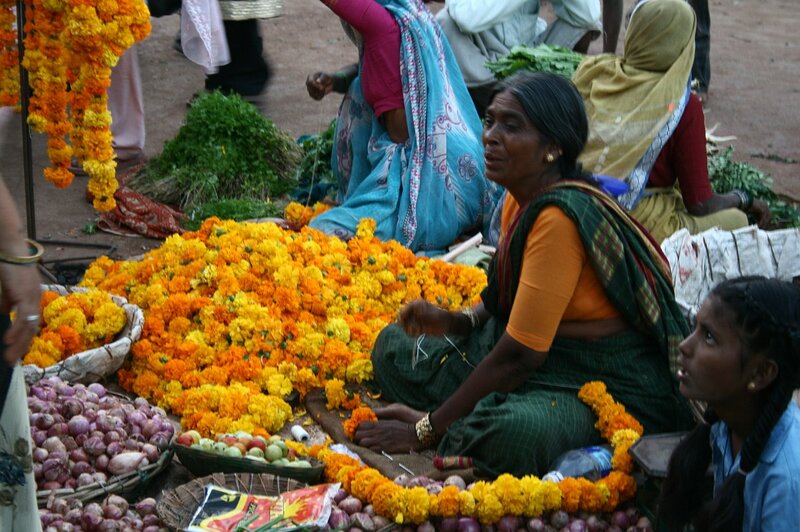 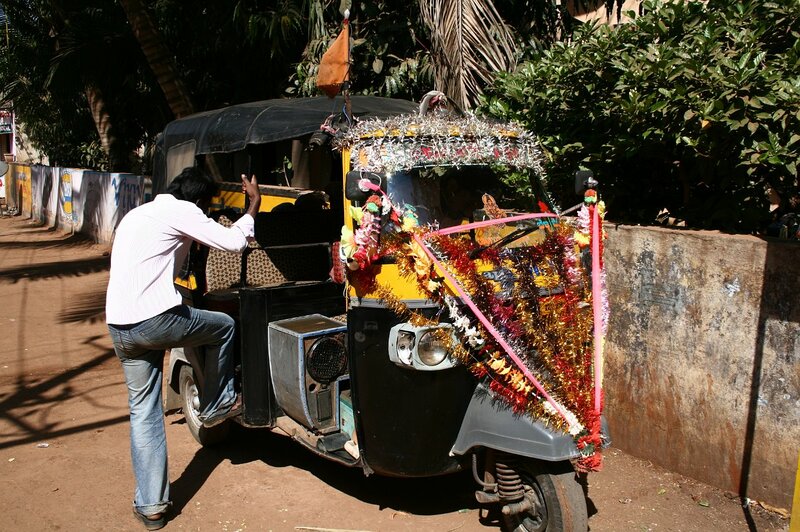 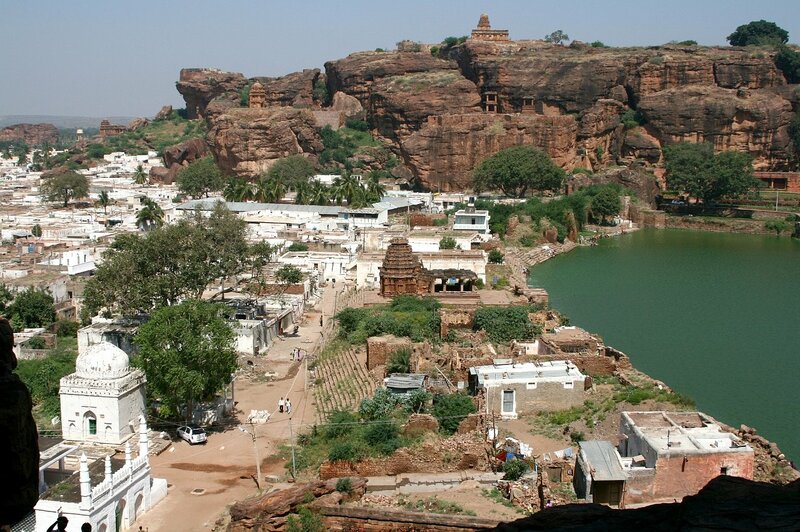 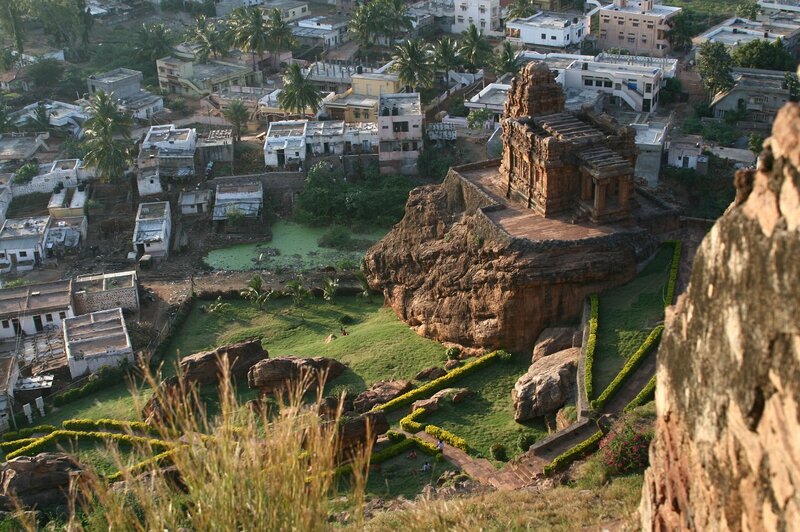 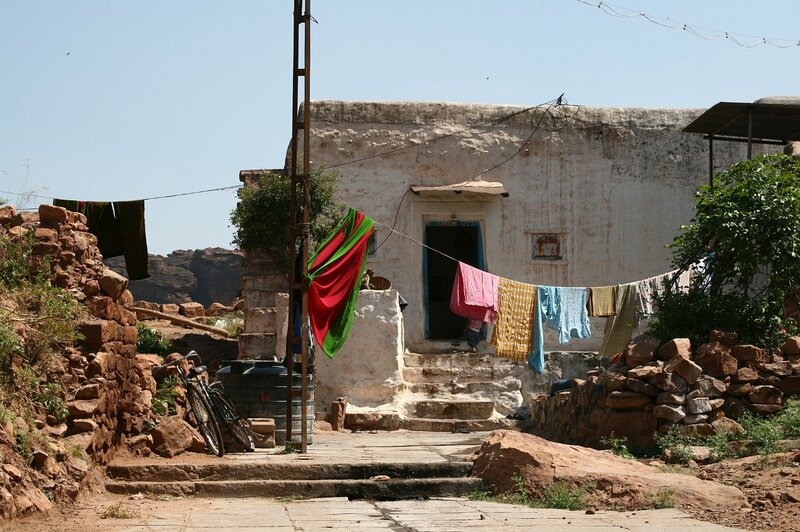 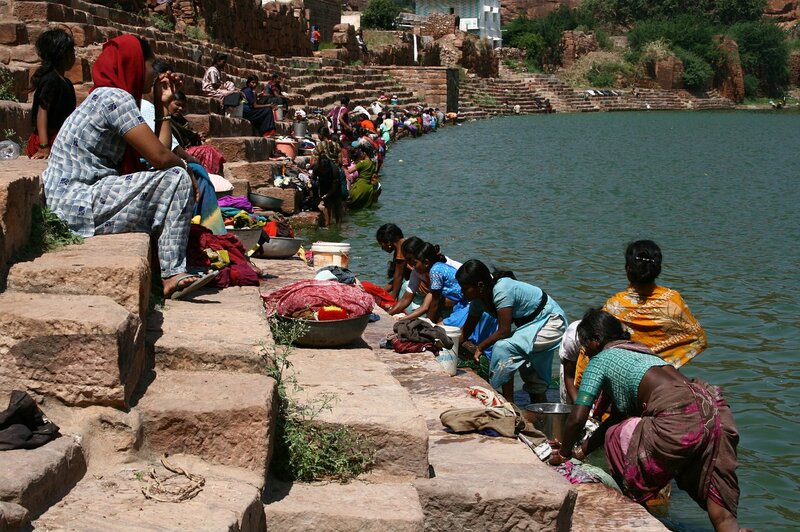 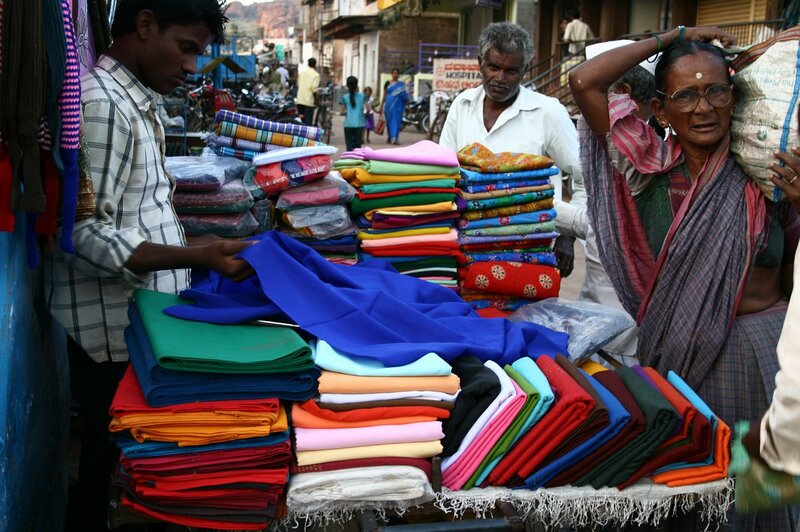 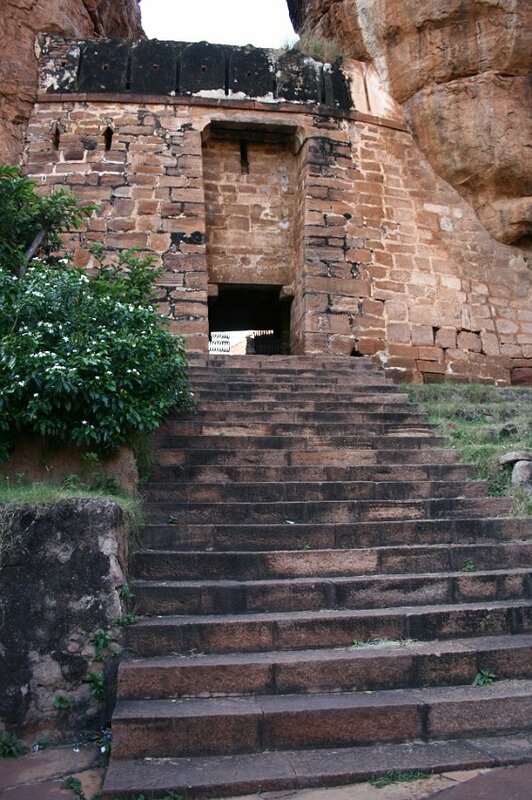 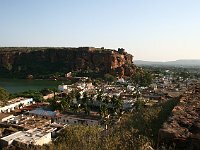 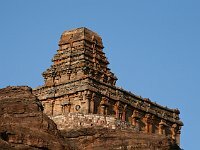 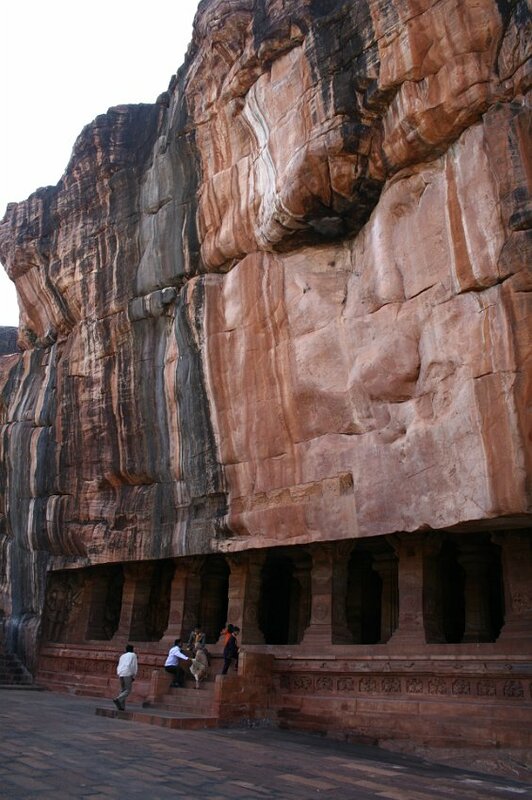 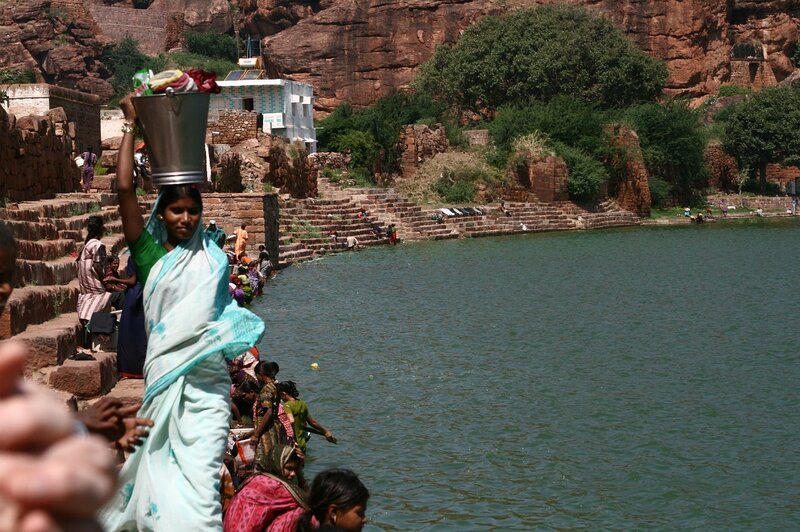 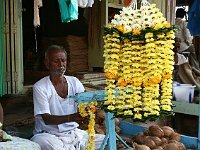 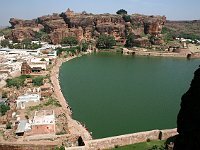 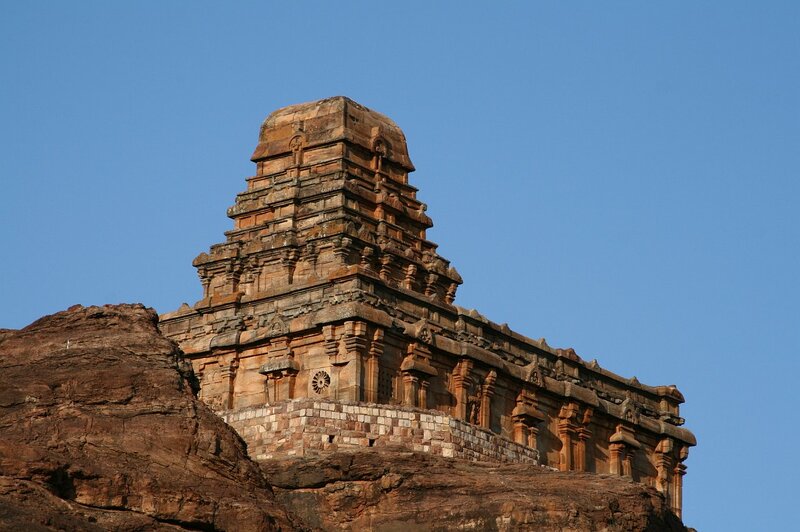 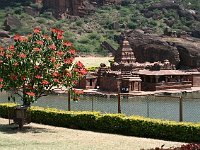 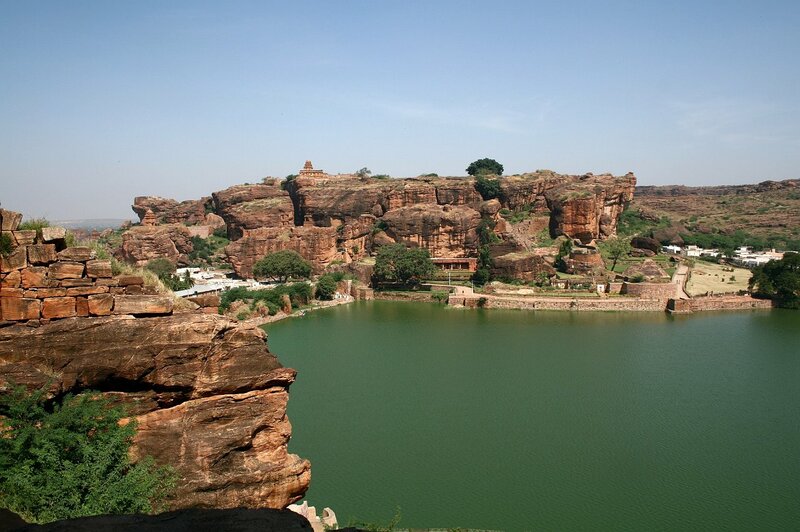 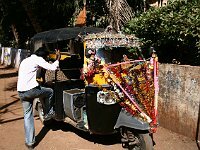 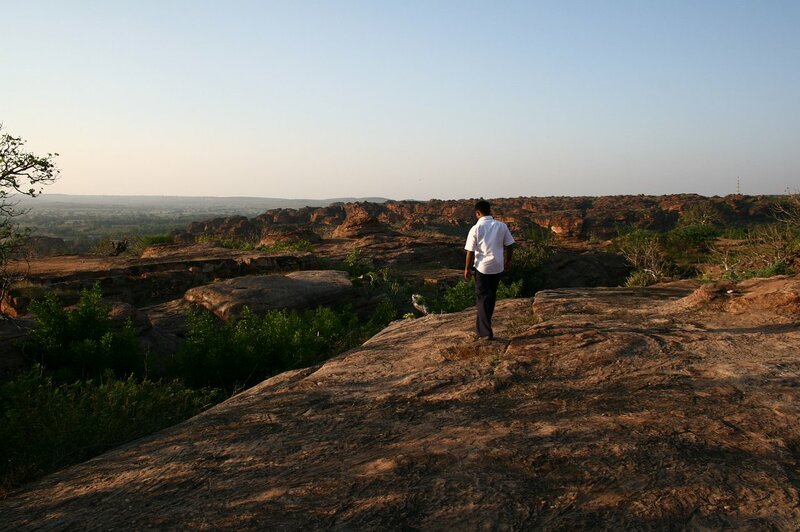 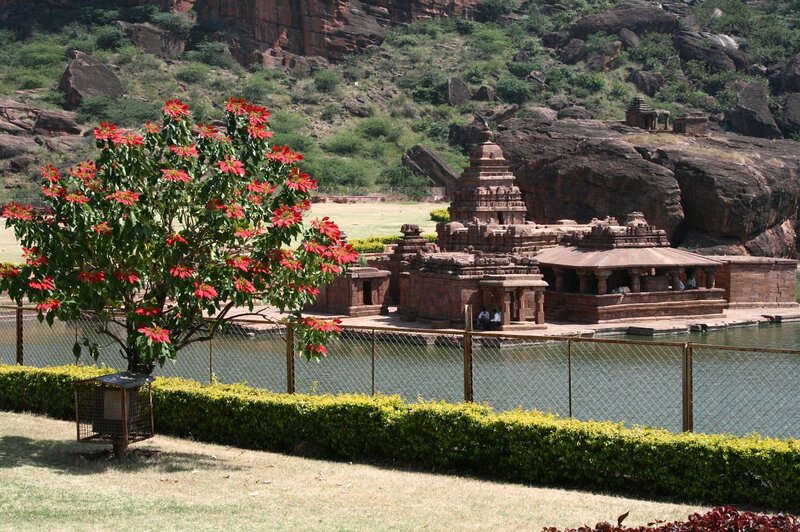 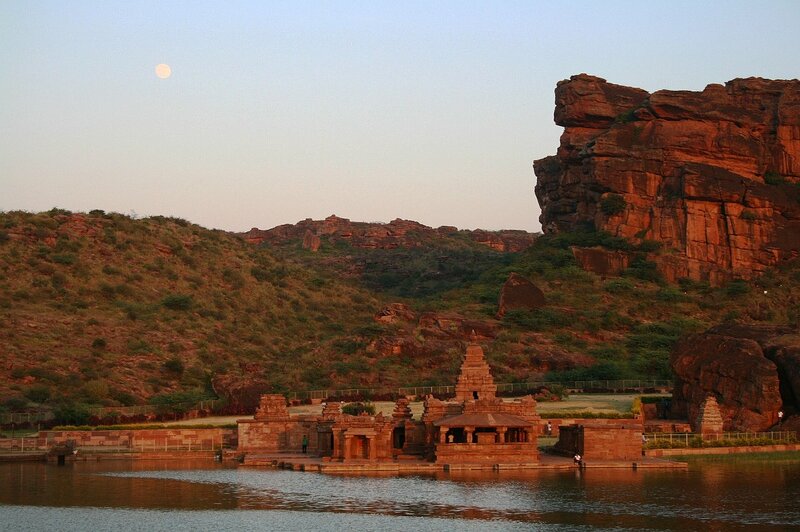 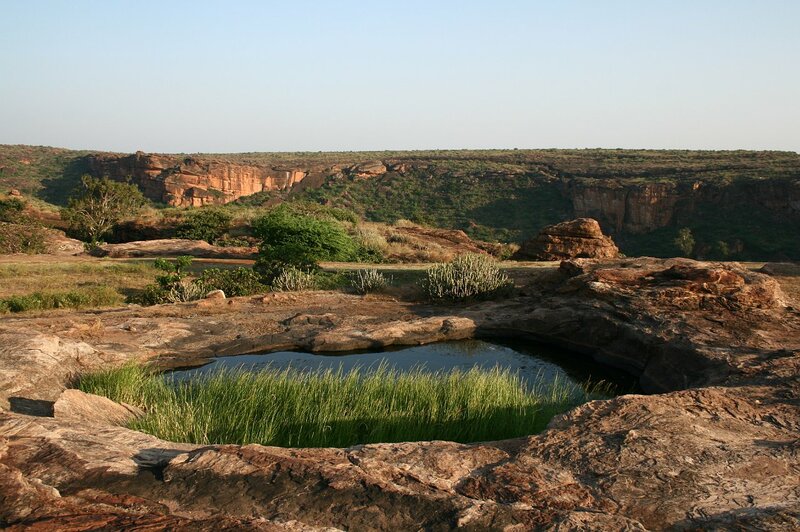 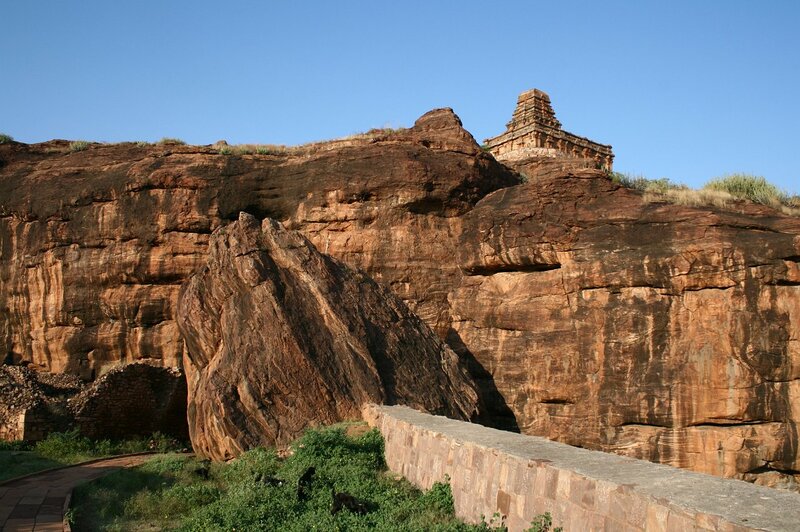 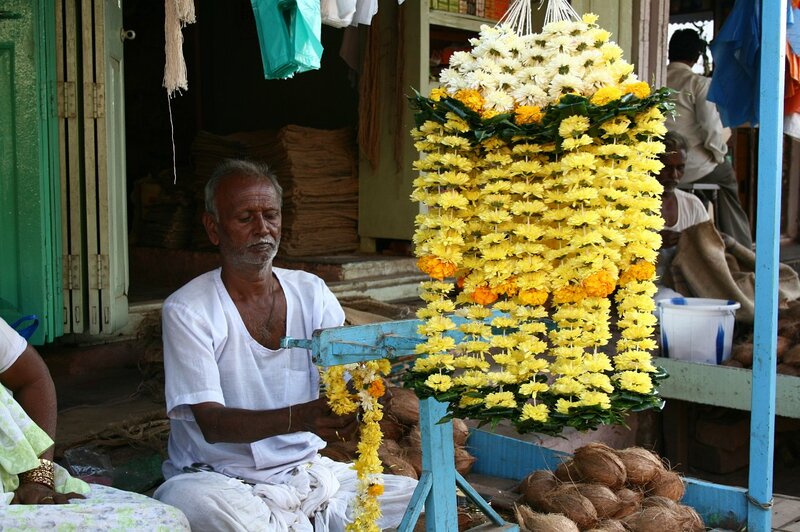 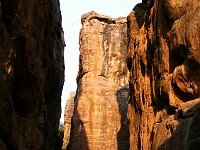 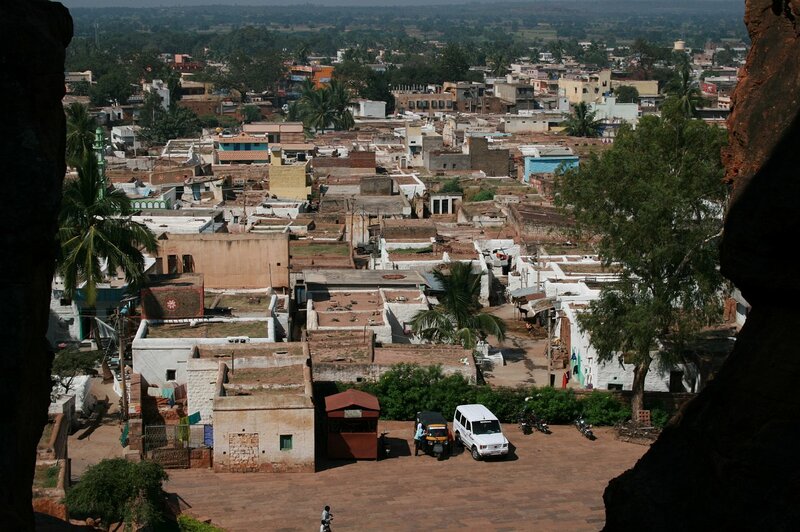 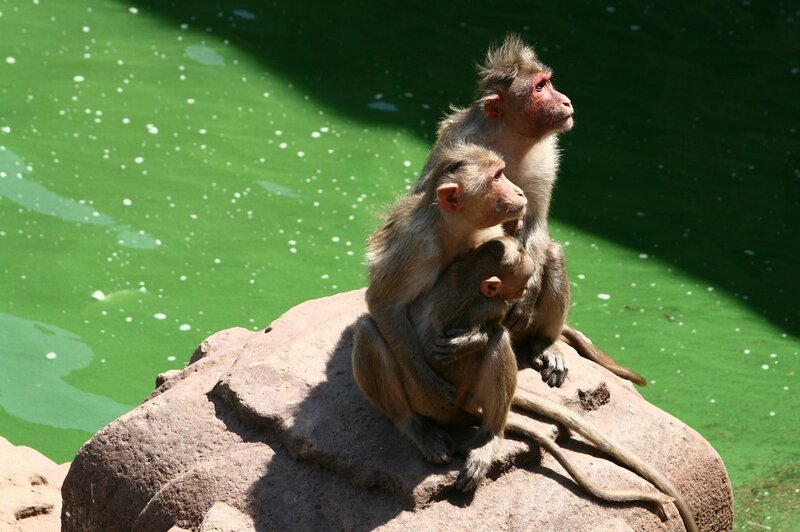 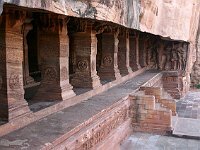 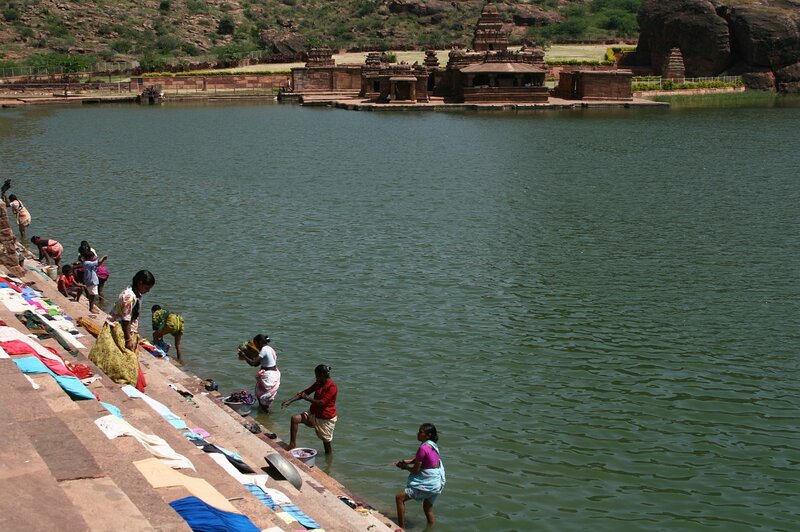 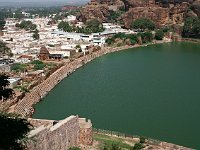 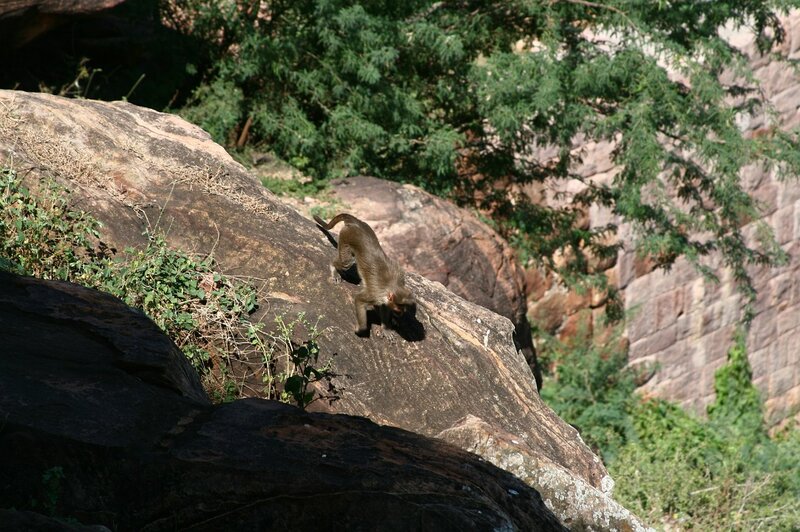 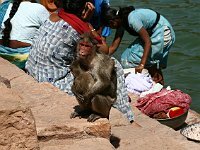 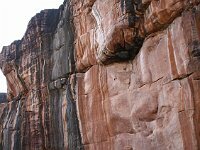 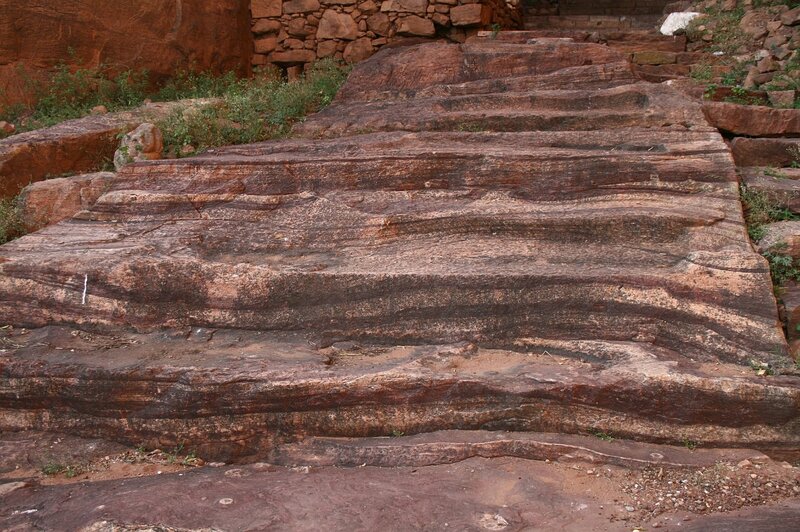 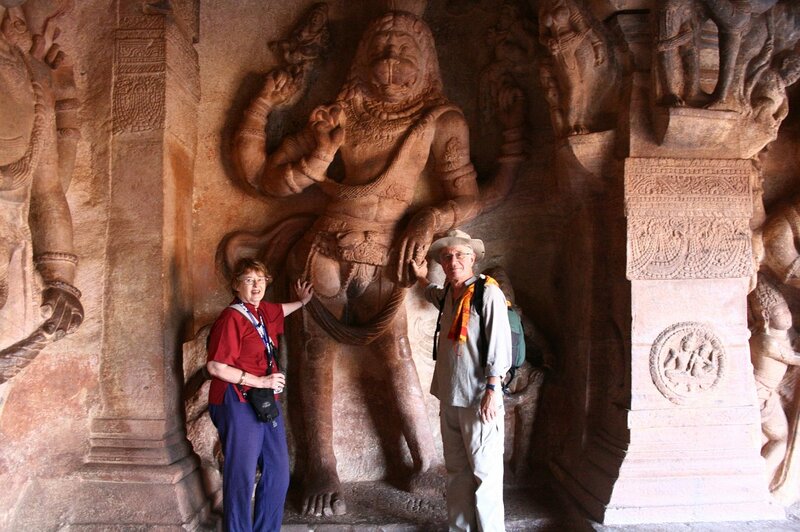 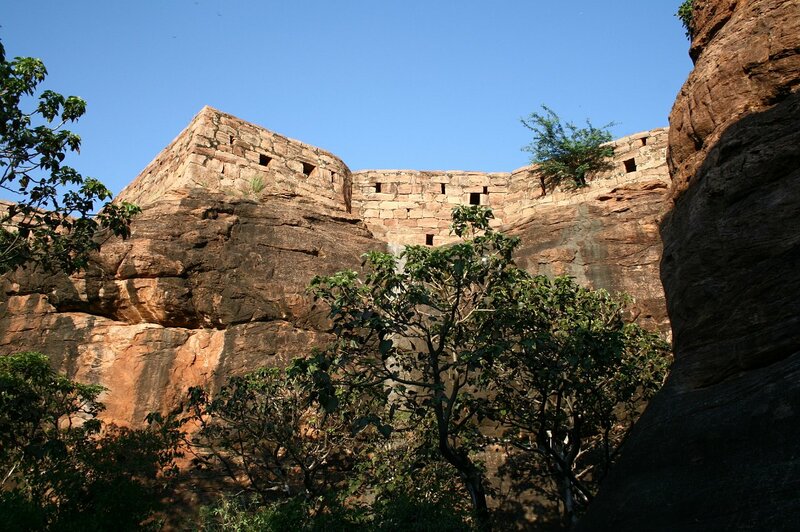 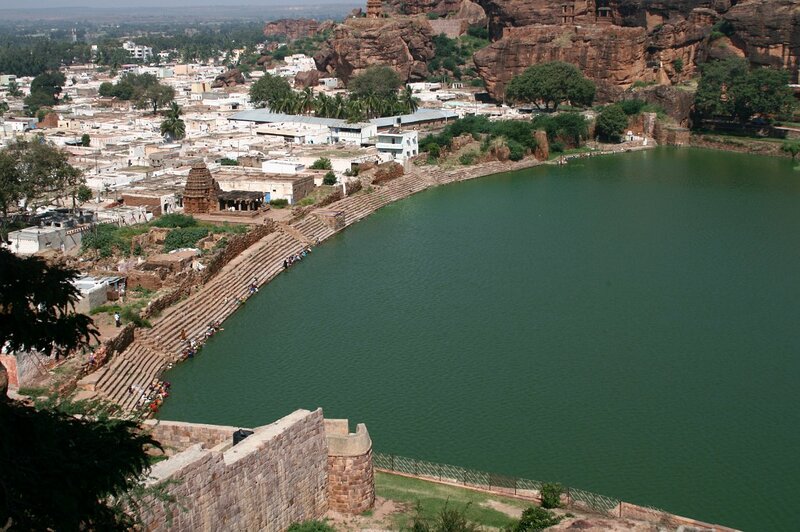 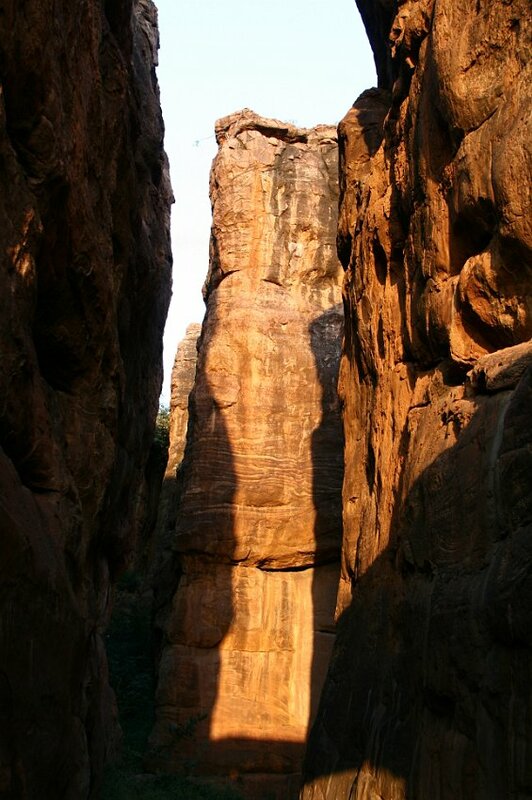 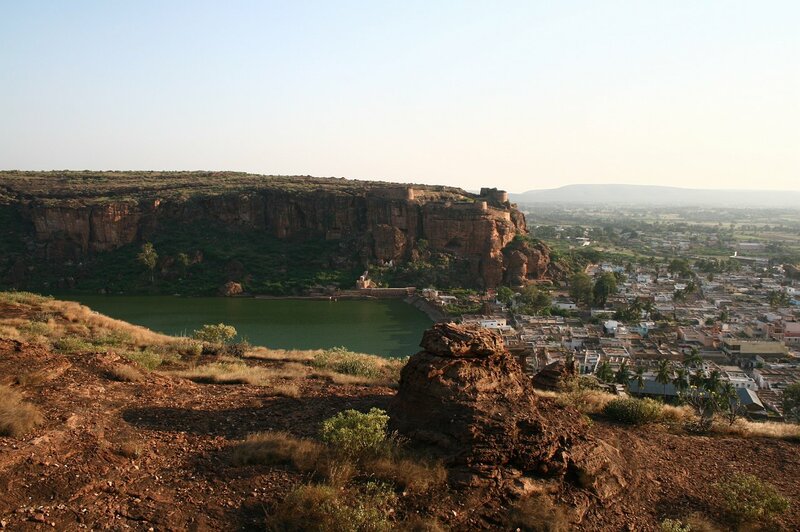 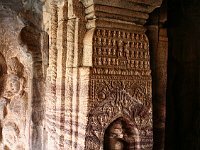 Badami was fascinating for its cave temples, its high plateau and its market. 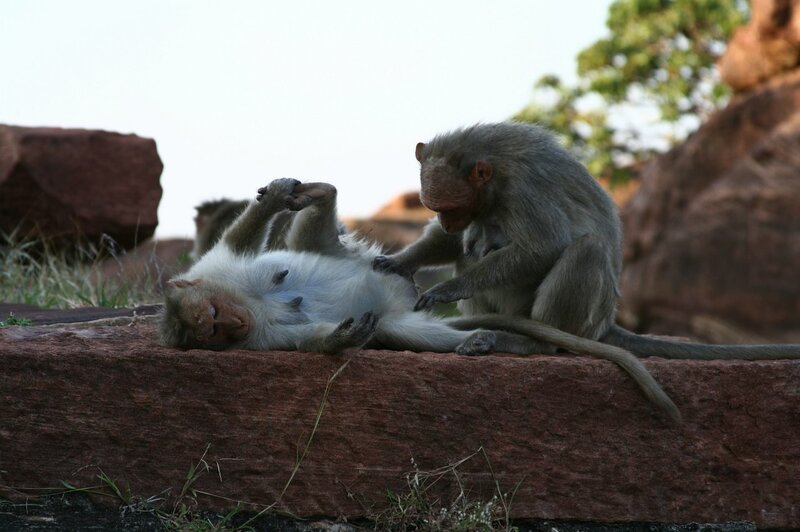 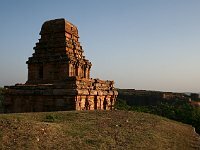 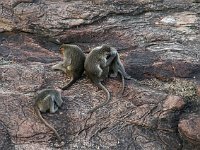 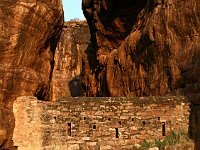 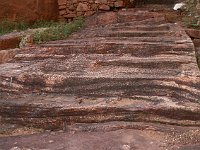 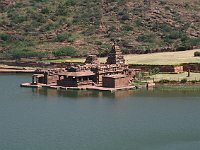 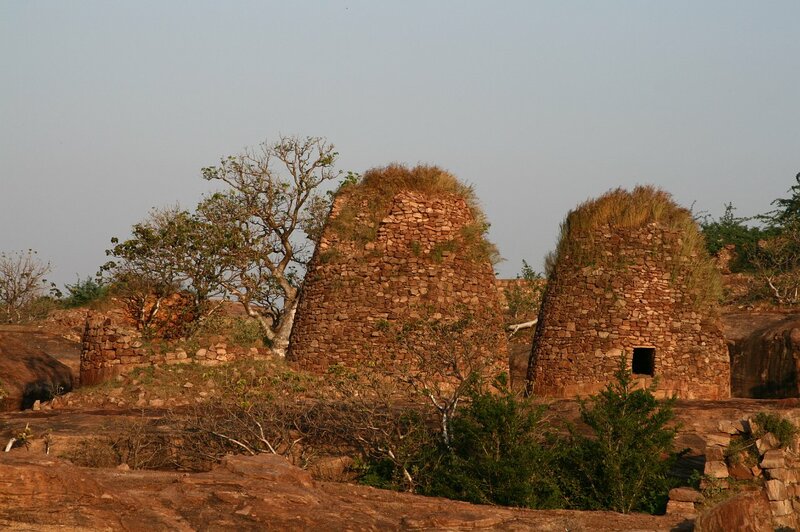 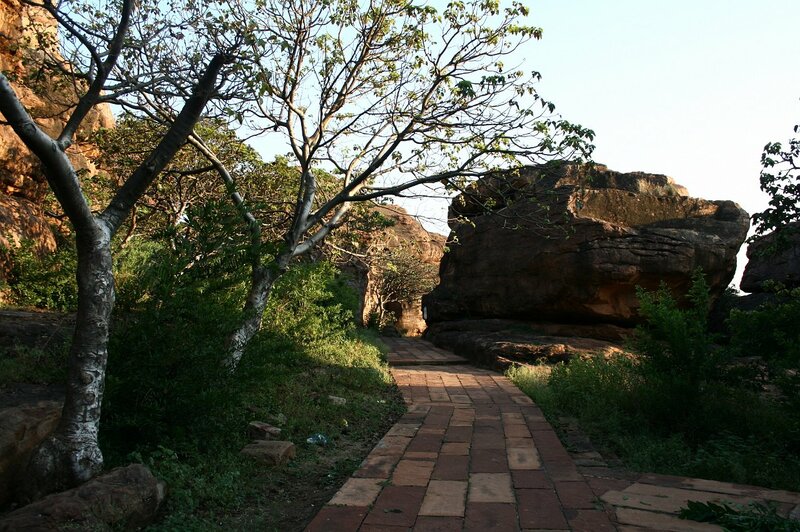 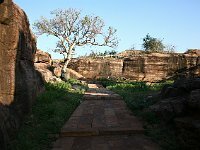 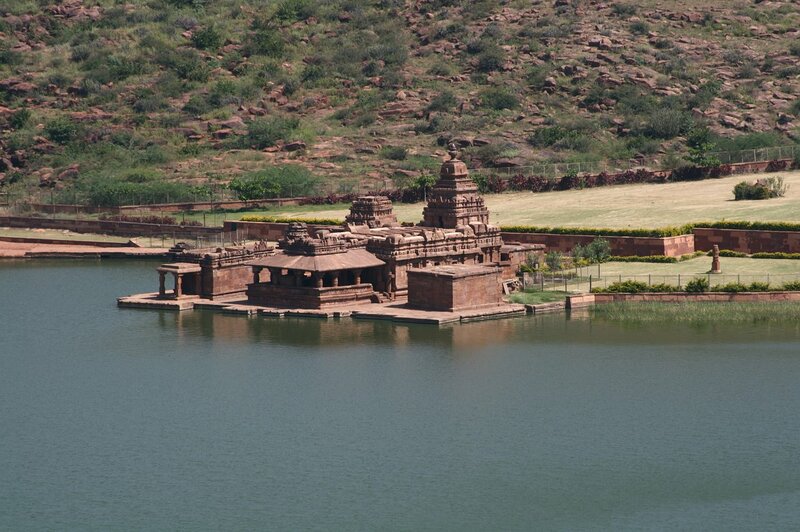 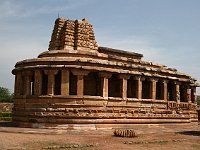 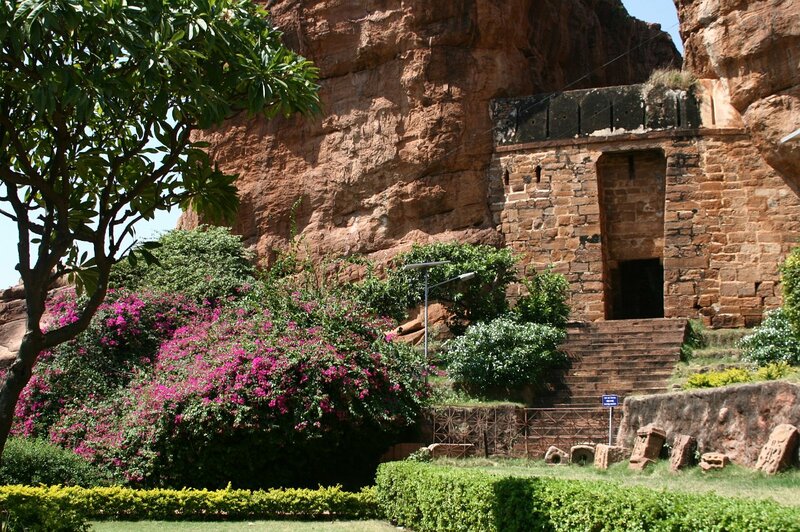 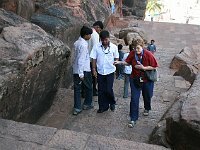 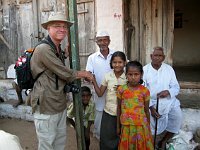 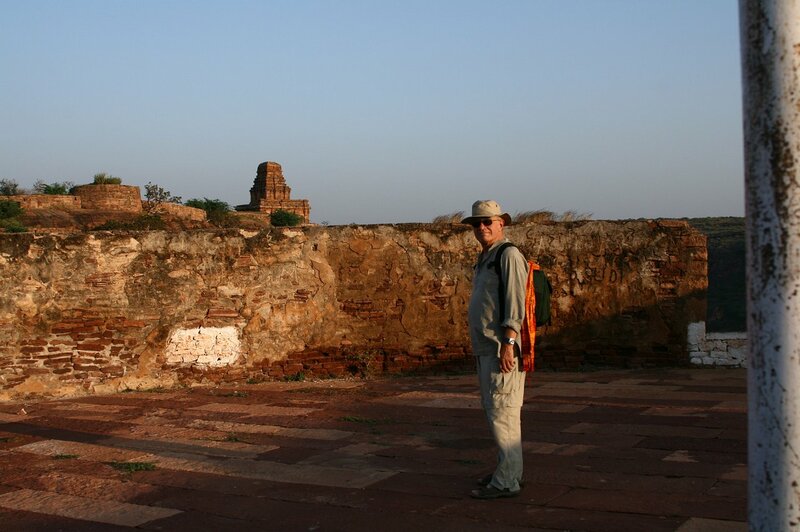 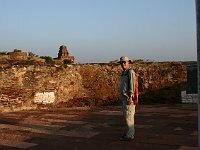 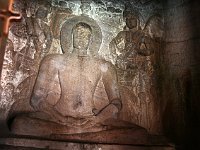 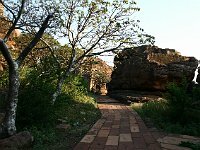 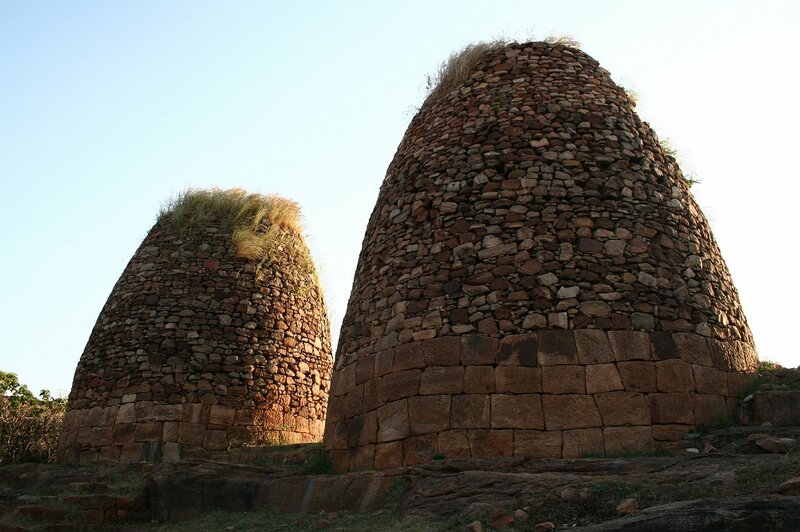 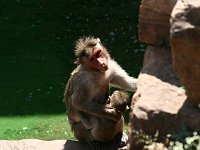 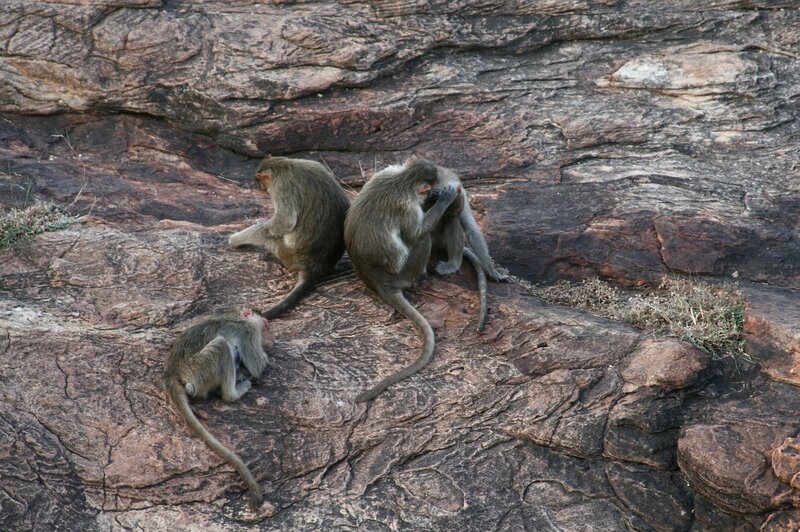 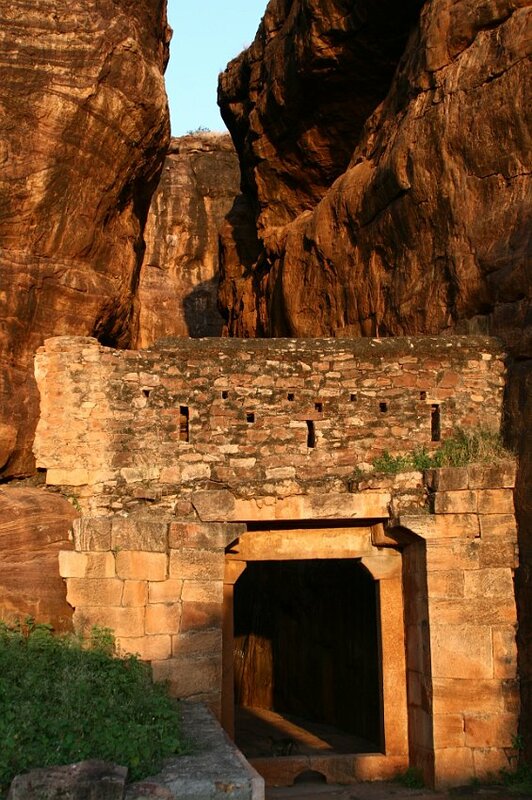 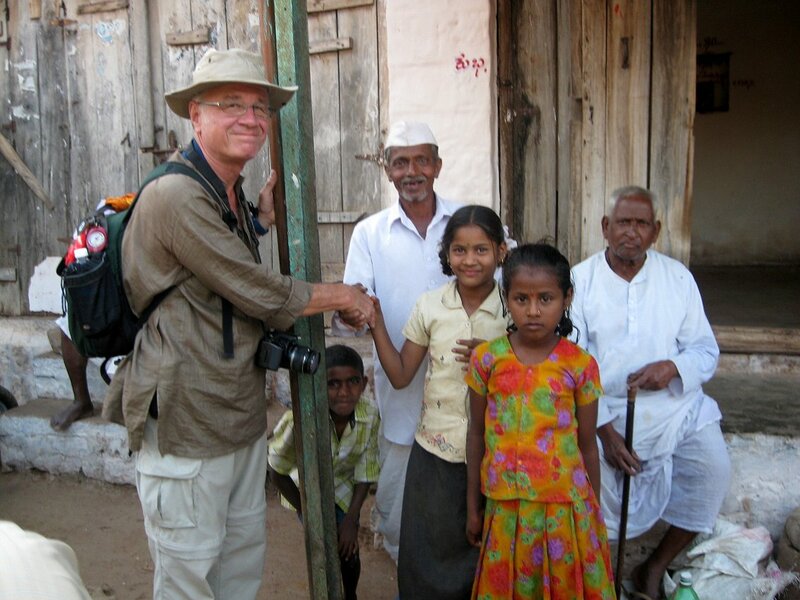 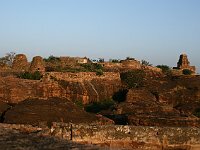 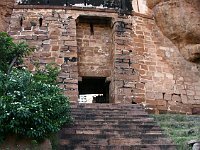 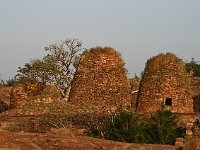 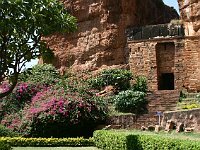 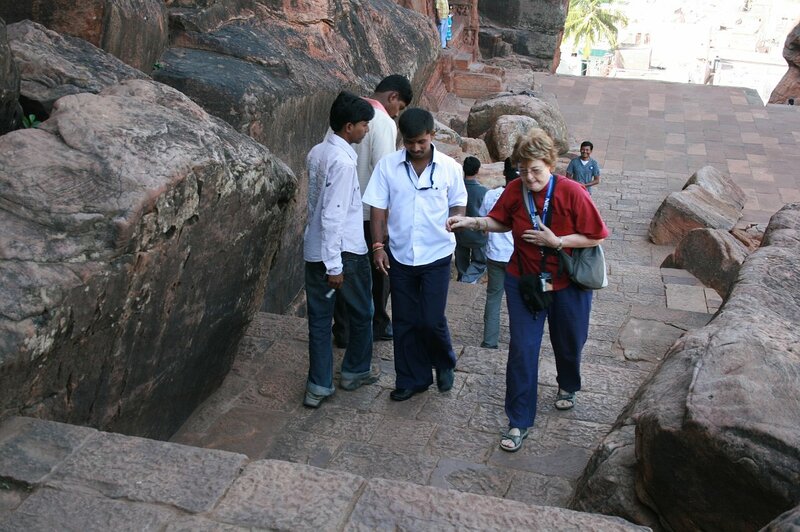  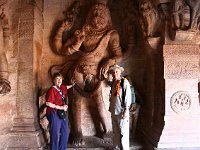 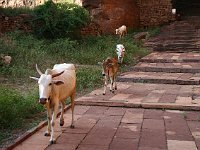 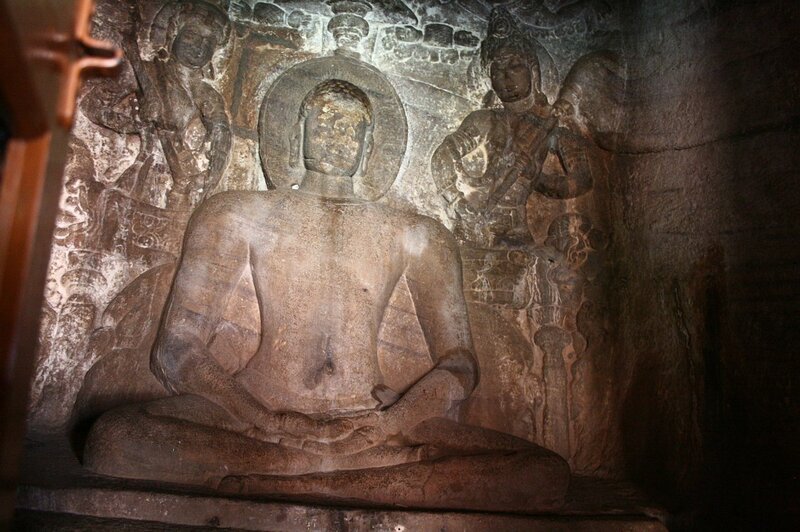 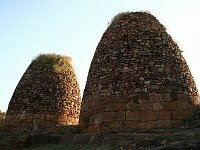 Also it is a great base for exploring other sites in the area -- Aihole, Pattadakal and Mahakuta. 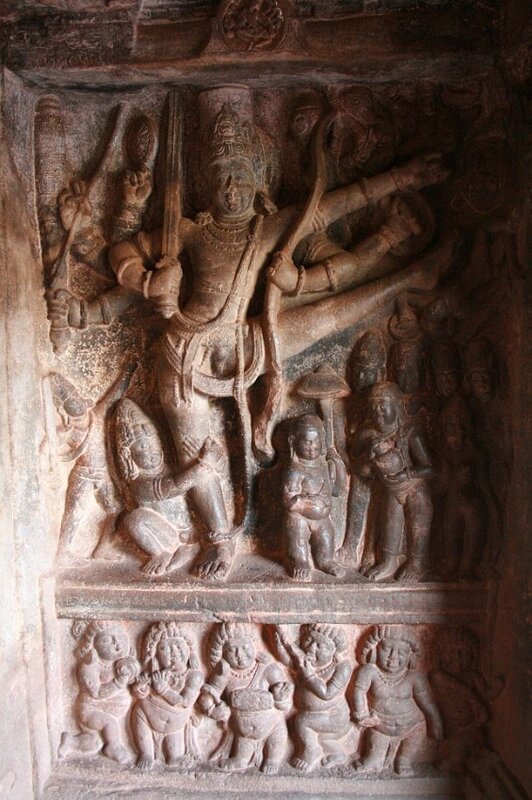 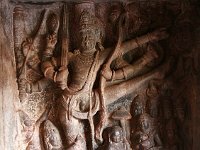 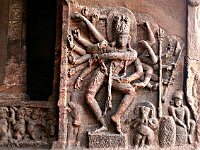 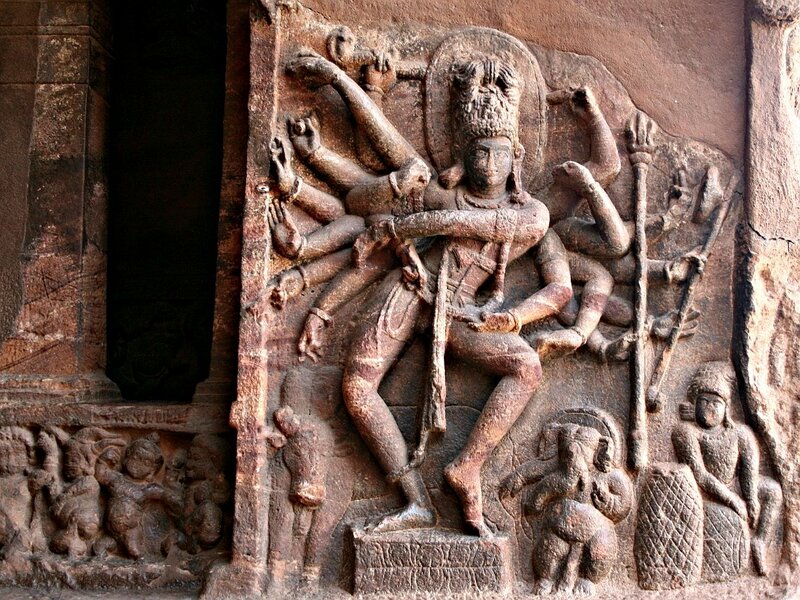 3 Badami Beautiful 18-armed Nataraja at the 1st temple. 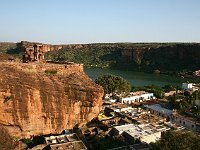 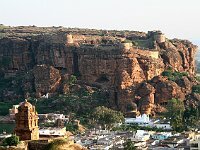 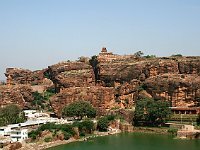 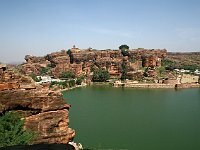 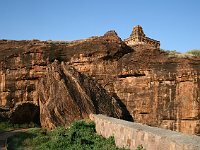 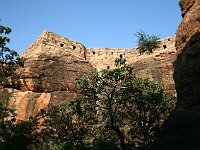 49 Badami Cliffs and Upper Shivalaya Temple. 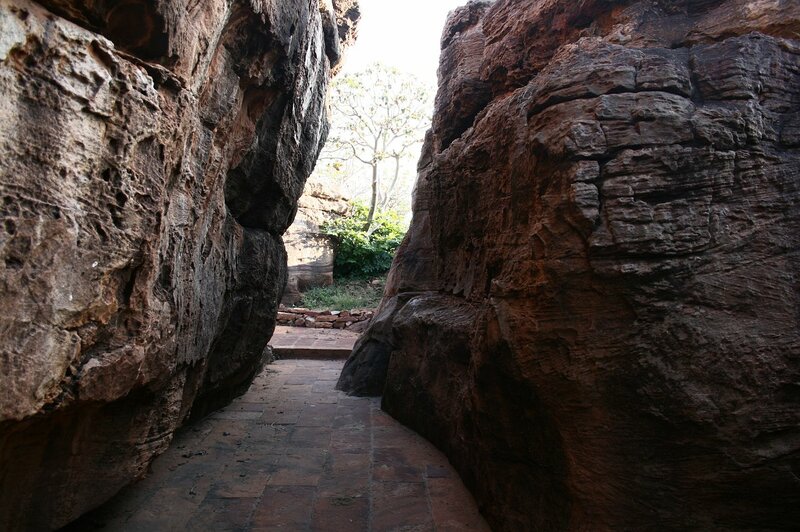 The path runs behind the big boulder and this side of the cliff. 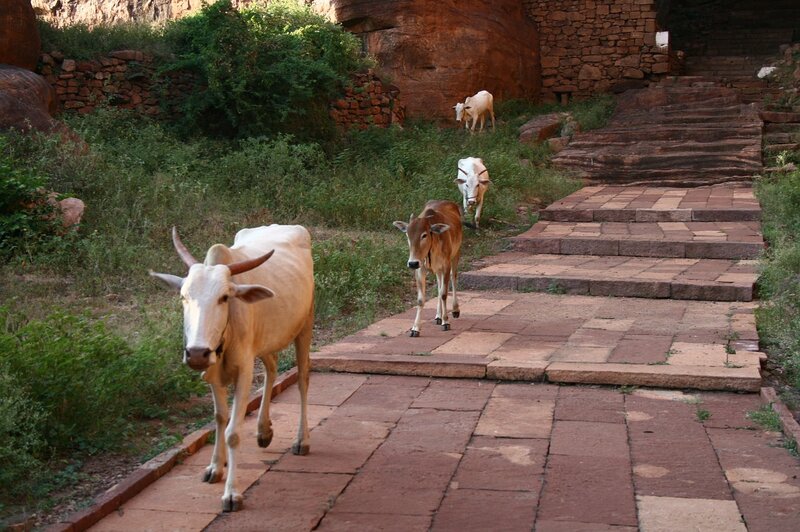 50 Badami John decided that if the cows could make it up, he could too. 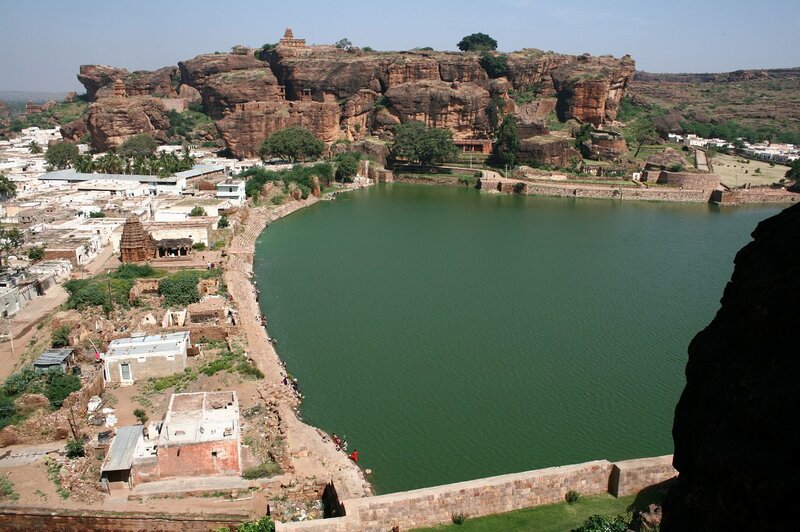 55 Badami Looking out across the plateau, you realize that the lake is really in a hole. 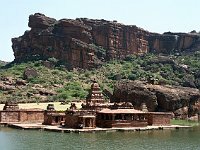 68 Badami The setting sun lit up the whole scene marvellously. 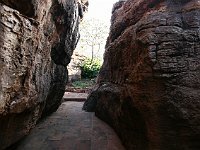 Behind the gate, one sees the chasm the path follows. 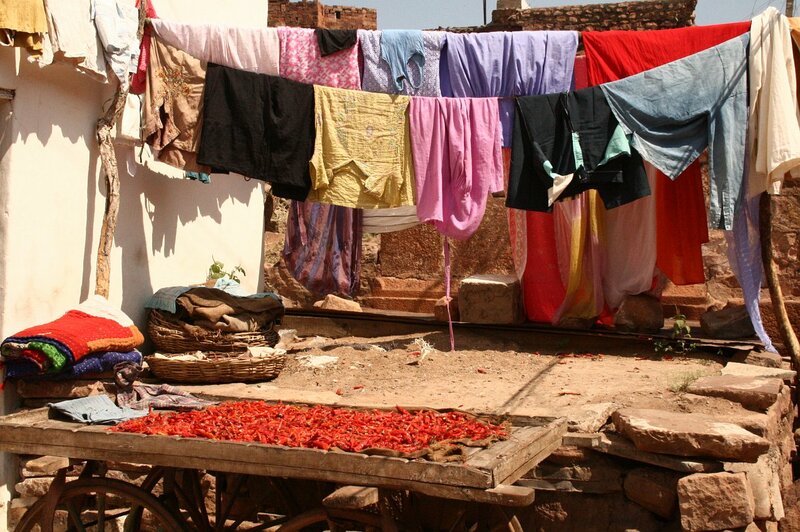 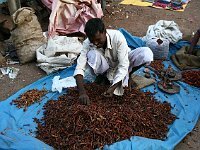 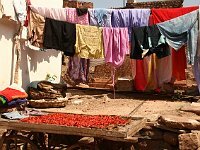 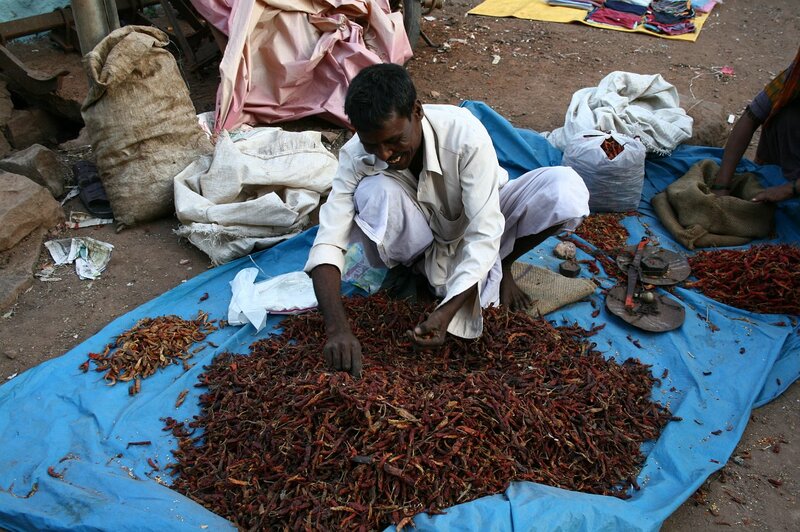 78 Badami Those are chilli peppers! 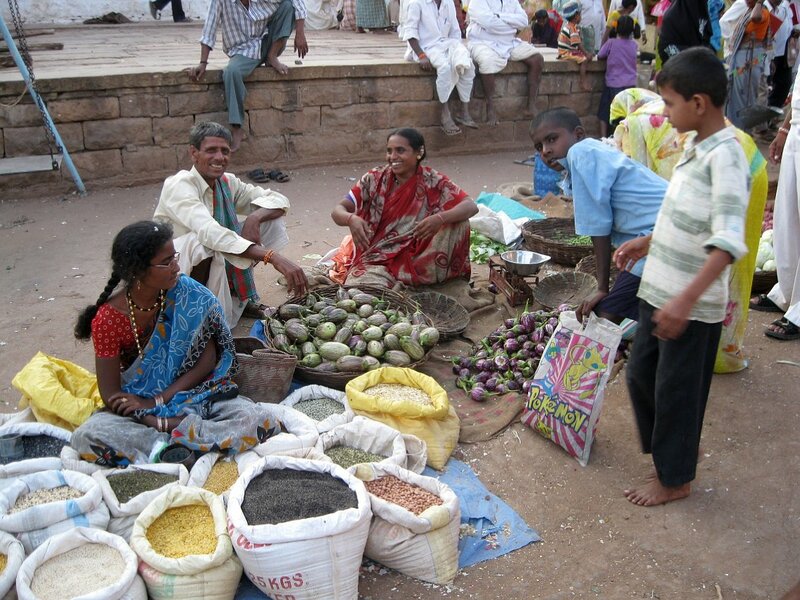 83 Badami Evening in the main street of Badami. 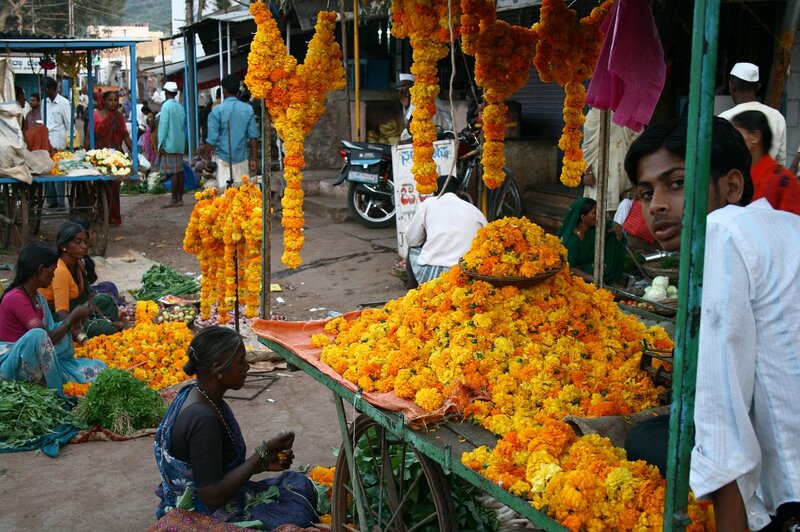 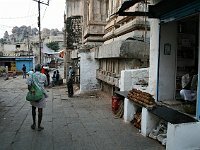 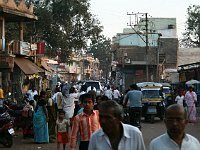 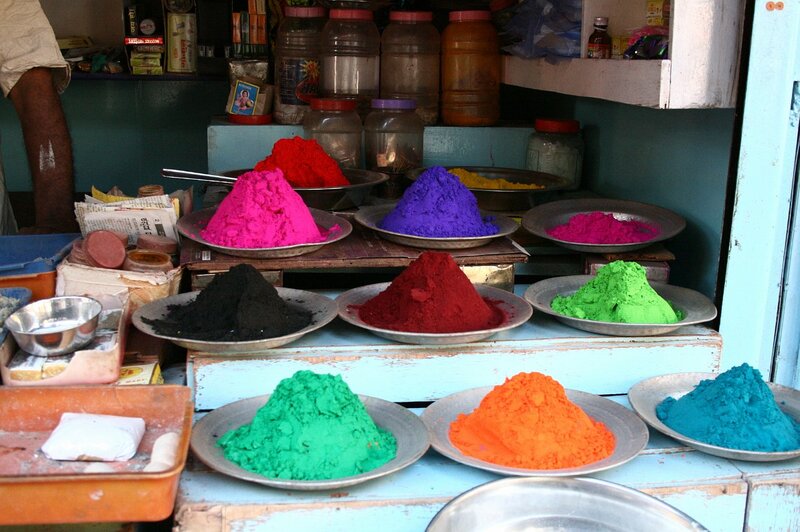 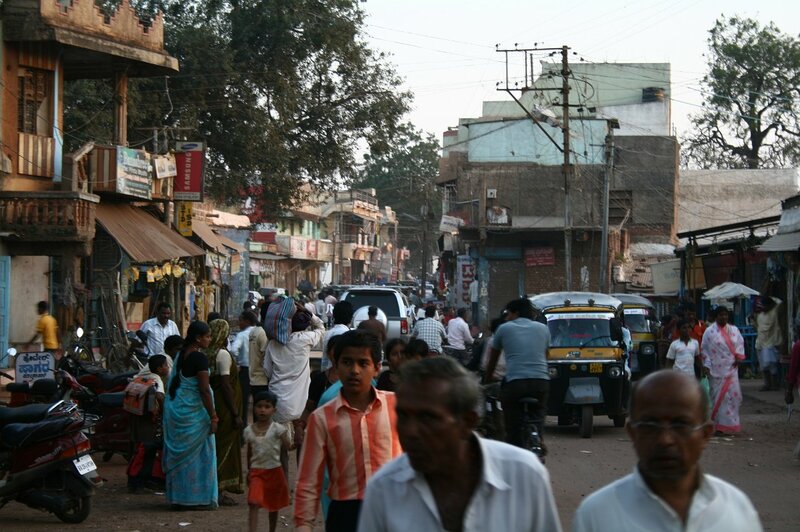 It could be any medium-sized indian town. 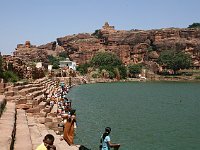 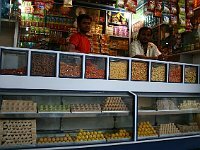 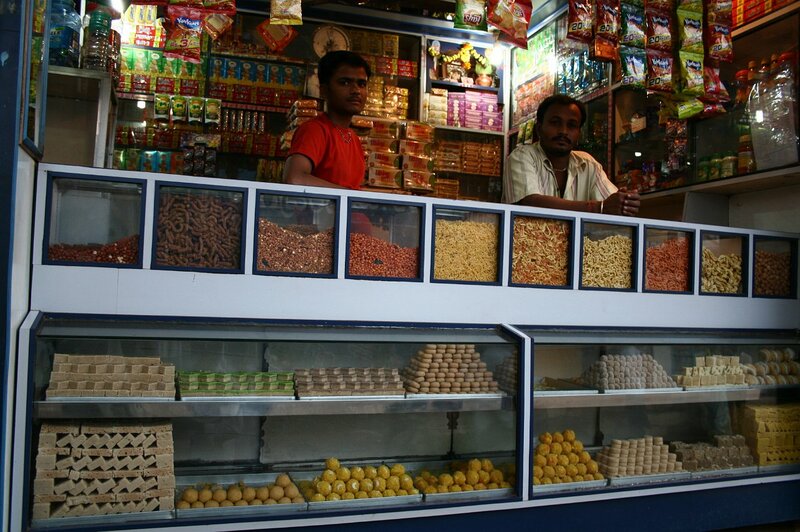 84 Badami A sweet seller -- and they were good!